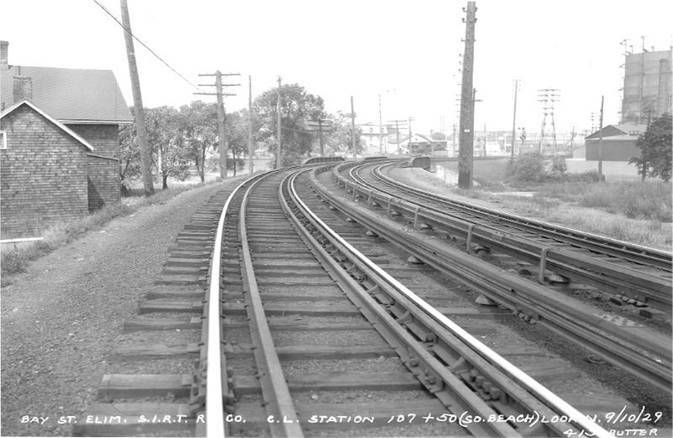 At the St. George terminus, each line had it's own respective set of tracks. 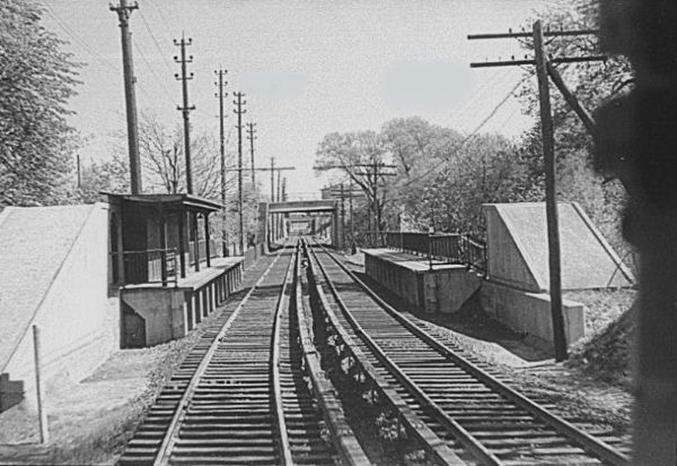 The South Beach line used tracks 1 through 4, whereas 5 through 9 were used for trains to Tottenville and tracks 10 through 12 for Arlington / Port Ivory. 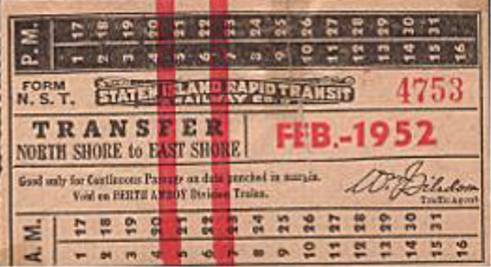 We can blame the smelly bus companies and their reduced fares for the closing of both the North Shore and South Beach lines. 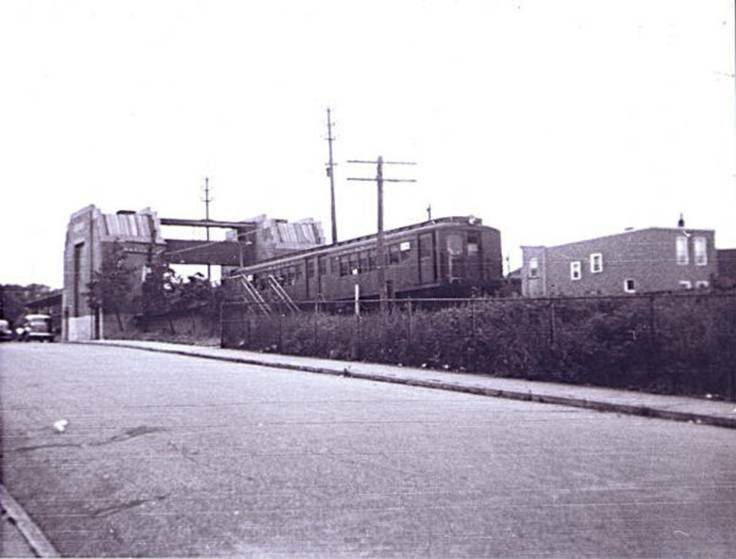 In fact, buses ruined everything for the trolleys and trains of Staten Island. 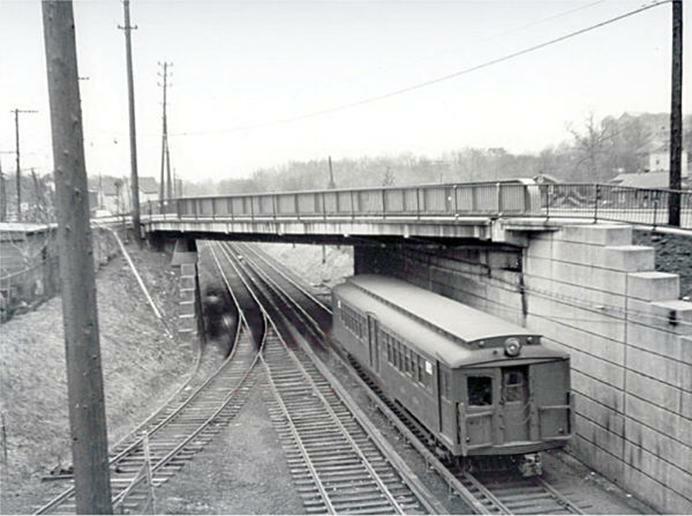 At midnight on Tuesday, March 31, 1953, the last passenger trains on the North Shore and South Beach branches ended their runs. 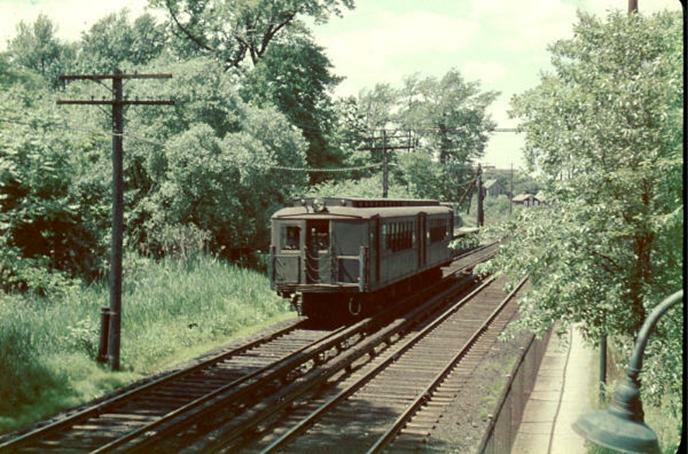 This left only the Tottenville line in service. 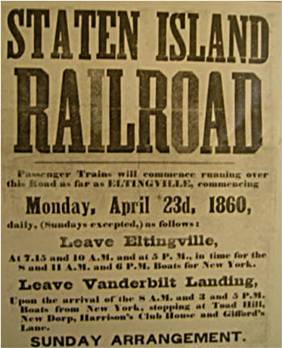 It still serves Staten Island residents today and at certain times is quite the cozy ride. 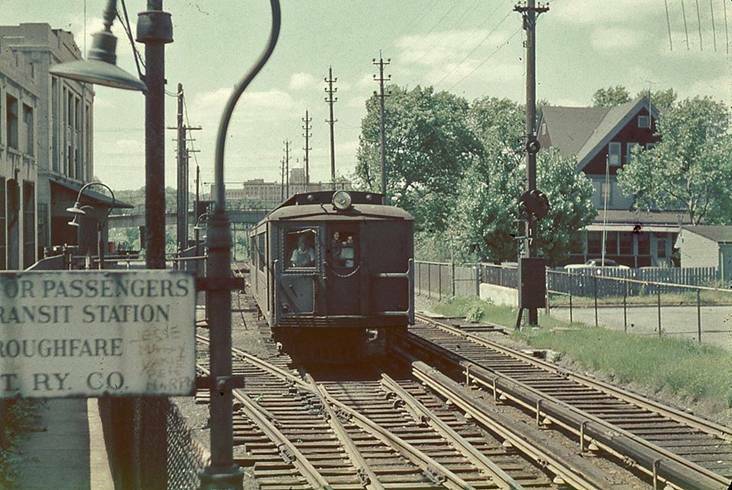 Train ridership on those sub-divisions had been low since WW II ended, except for the AM and PM rush hours. 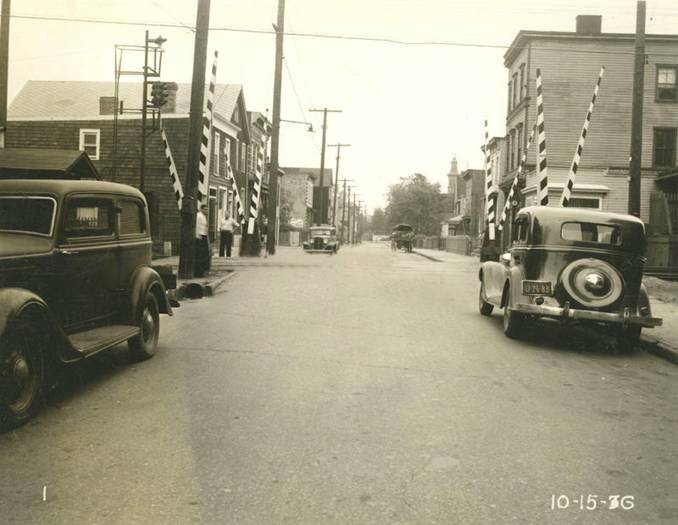 I can remember being the only mid-day passenger between Port Richmond and Harbor Road more than once! I used to go and visit my grandmother and mow my aunt's yard on Saturdays. 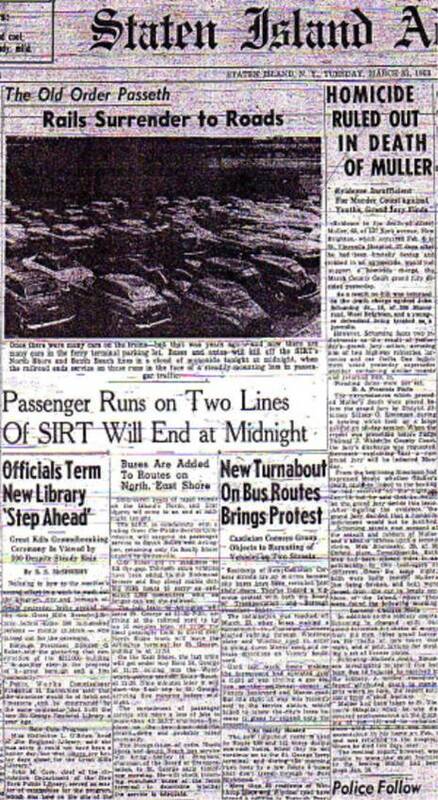 To sort of push along the end of the SIRTï¿½s north and east shore services, the City expanded the Island's bus fleet and also the frequency of service on certain routes that paralleled the SIRT. 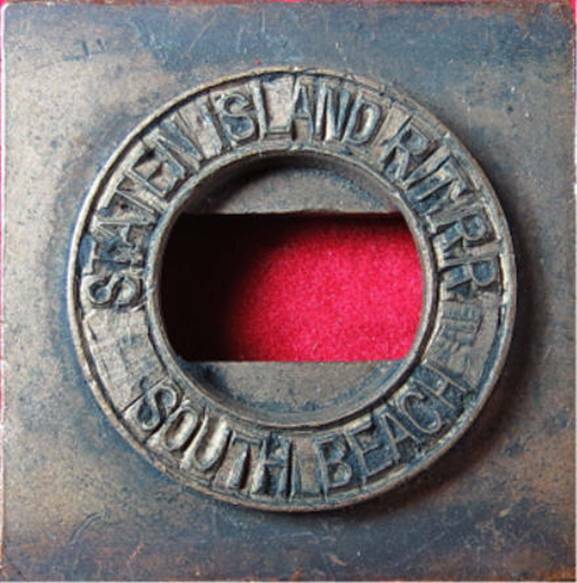 Trains on the South Beach line carried passengers from the St. George ferry to the amusement parks that once flourished on the east shore. One such place was known as Happy Land. It was Staten Island's answer to Steeplechase Park, Luna Park and Dreamland in Coney Island, Brooklyn. It must have been breathtaking to see the lights gleaming from these parks while sailing into New York harbor on a clear summer night. 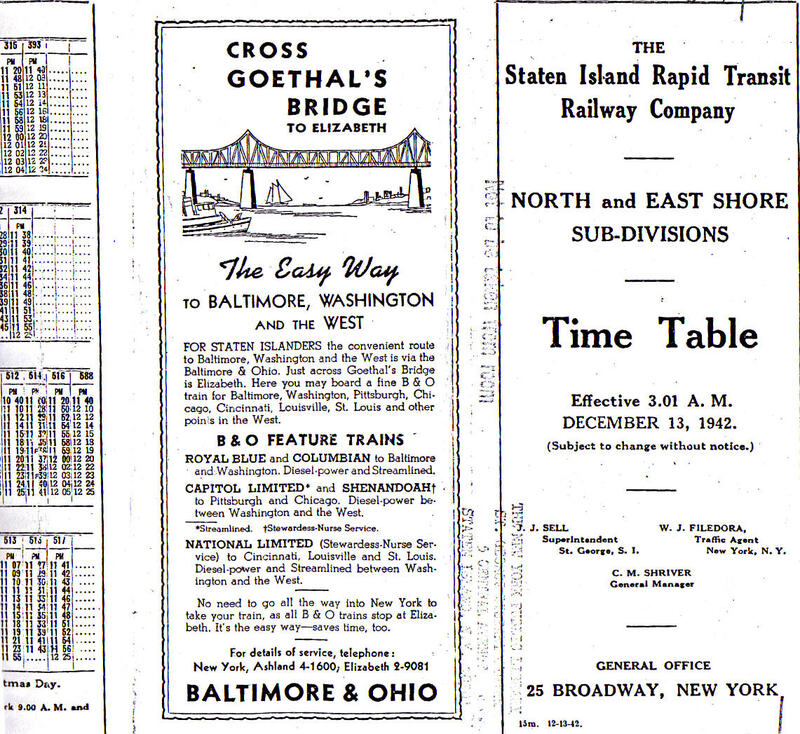 Here's a north and east shore time table from December 13, 1942. Notice a few changes have occurred. 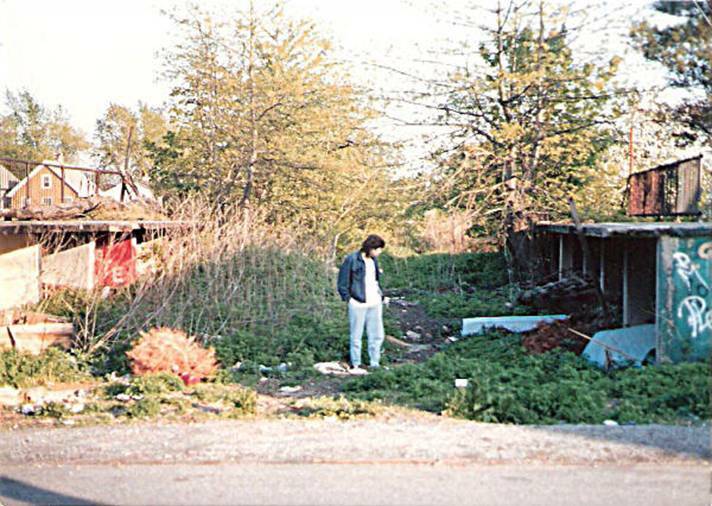 The original South Beach right of way stood in place well into the 1990's. 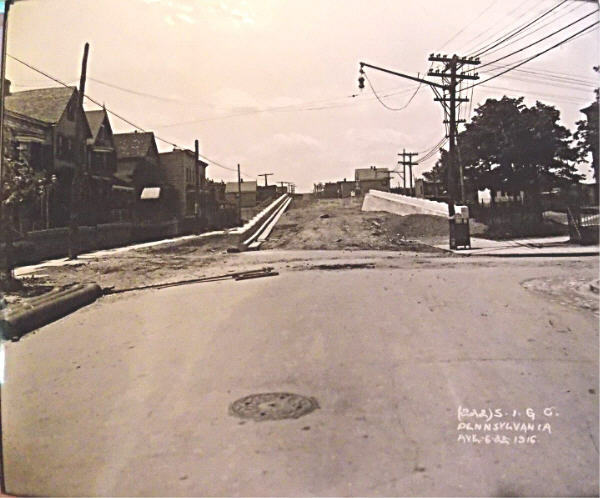 Today, houses stand on most of the line, and a chunk of which was demolished in the early 1960's to make way for the Verrazano Bridge toll plaza. 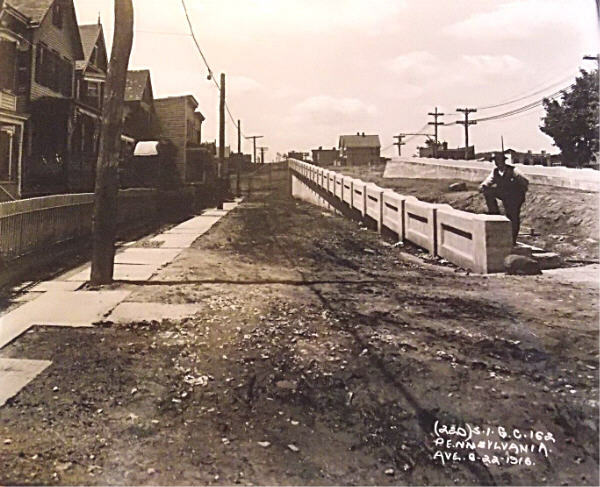 While that was being built, someone supposedly came up with the idea to create what is now the oversized Lily Pond Avenue overpass, which lines up perfectly with the old railroad right of way. This was done just in case the S.I.R.T. decided to reactivate the line, which, of course, never came to be. 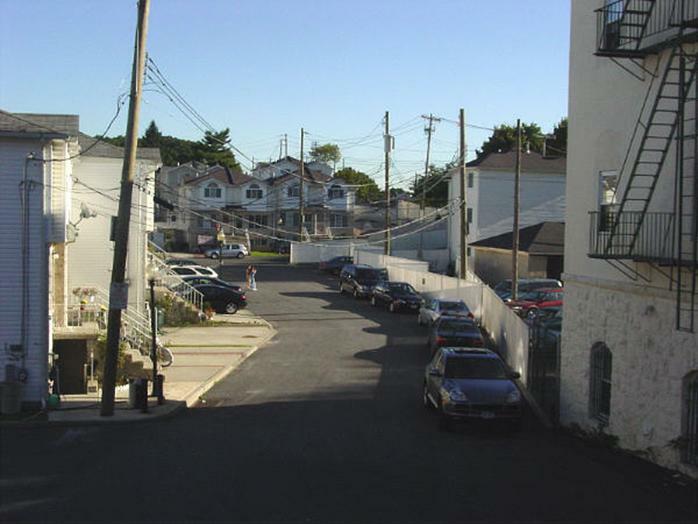 Nowadays, Staten Island is suffering from severe traffic on the streets and highways. 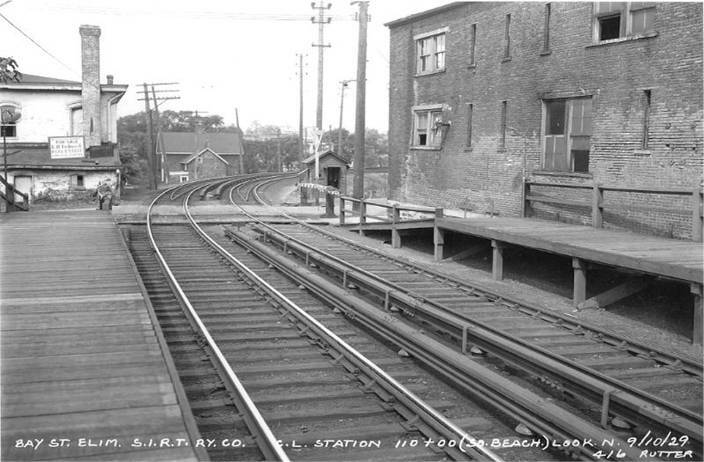 There is talk of re-opening the North Shore line (which is still basically intact), but there is no chance of rekindling service to South Beach. It really is a shame as the island could use more public trains/light rail. To make what could easily become a ridiculously long story short, I wanted to create this page to showcase some photographs of the South Beach line during and after service ended. The distance in miles to each station from the St. George ferry terminal has also been included. Let's step onboard and check it out! Bay Street near Willow Avenue. 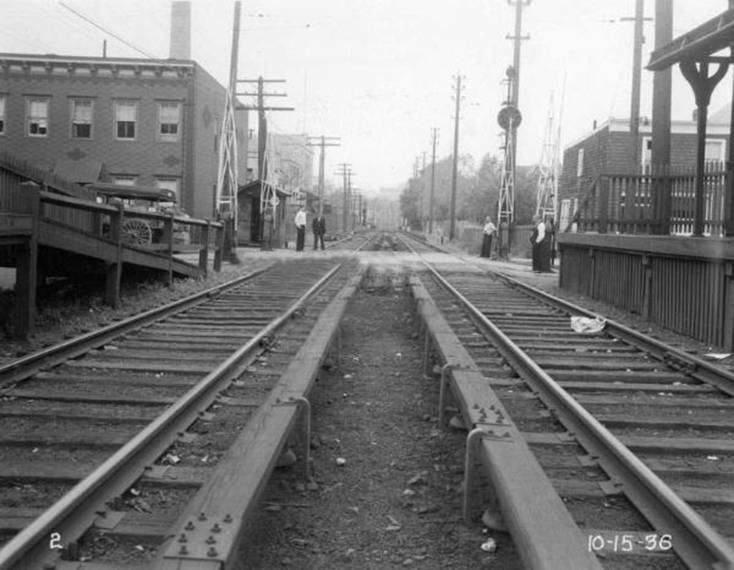 Here are two almost identical views of Clifton junction. 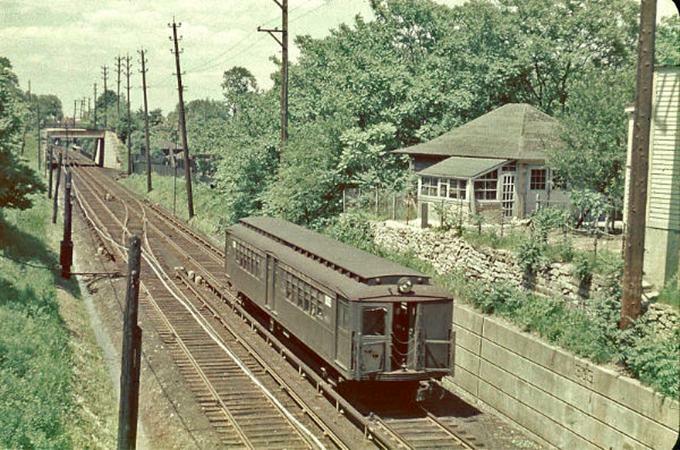 Tottenville line veers off to the right. 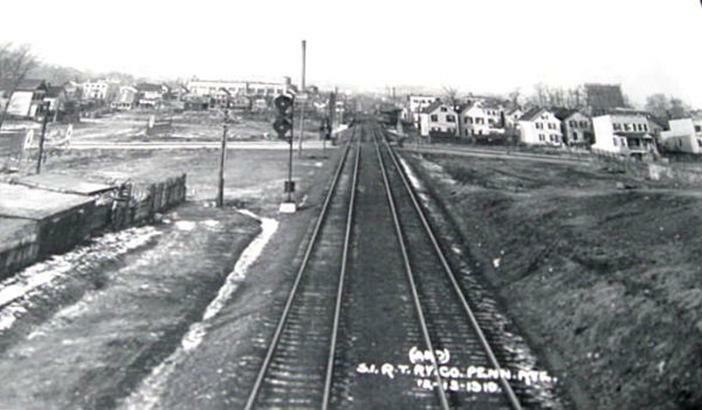 Clifton Junction on September 4, 1929.
from the back of a St. George bound train. 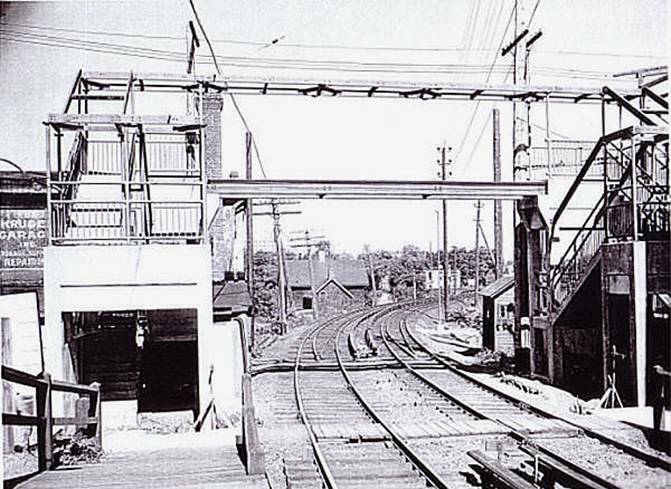 South Beach spur in 1964.
over head walk at Lynhurst avenue in October, 1937.
on the South Beach line (as we shall see shortly). Photo taken from the Chestnut Avenue overpass. 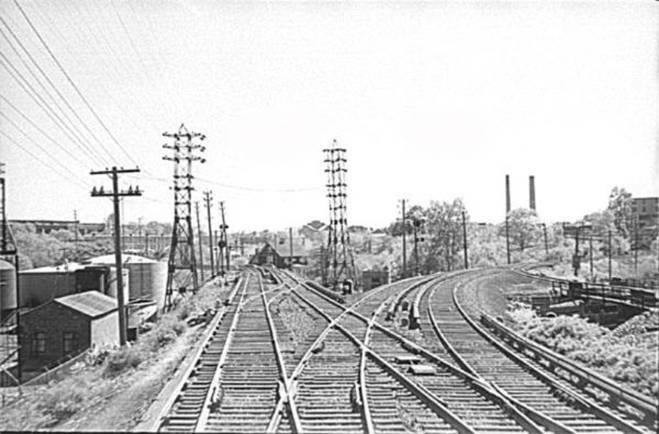 Two undated aerial views of the area near Clifton Junction. 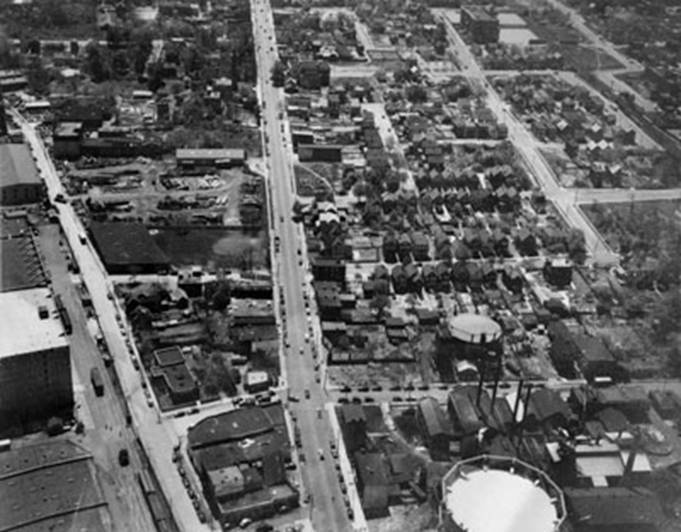 The SIRT South Beach ROW can be seen at the upper right (first photo). 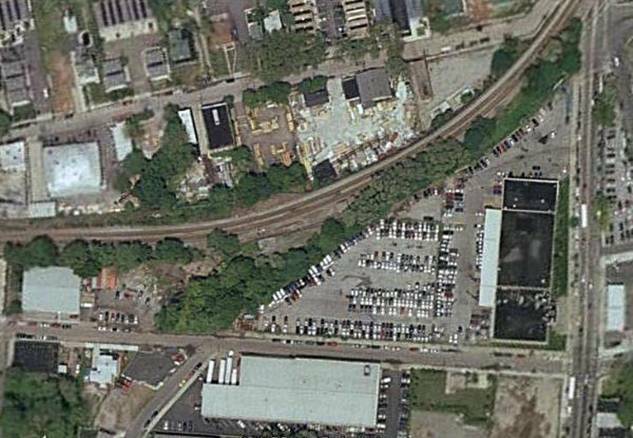 Here we have a 1991 aerial view of Clifton junction with the abandoned South Beach ROW. 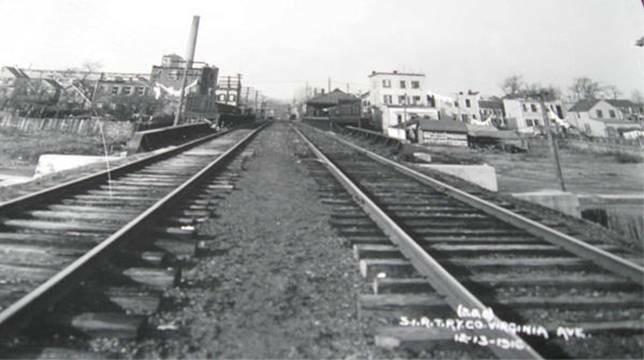 If you look closely to the left of the white-roofed rectangular building toward the middle, you will notice the trestle which runs over Willow Avenue was still in place. 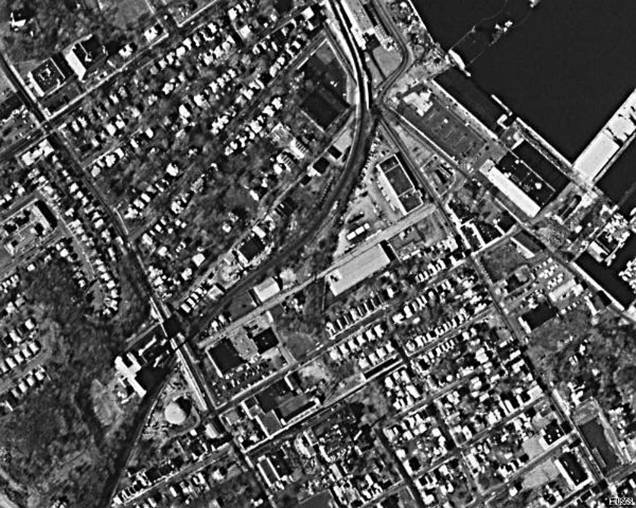 Here's the same aerial view around 2003. 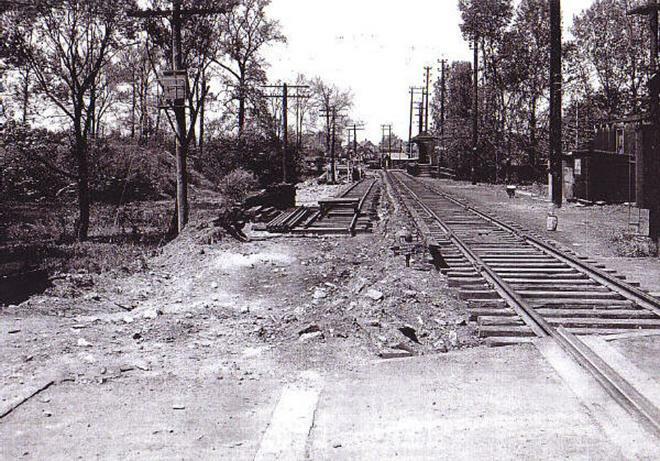 The Willow Avenue trestle is no longer there. photographed on September 4, 1929. Willow Road trestle looking north (9/10/29). 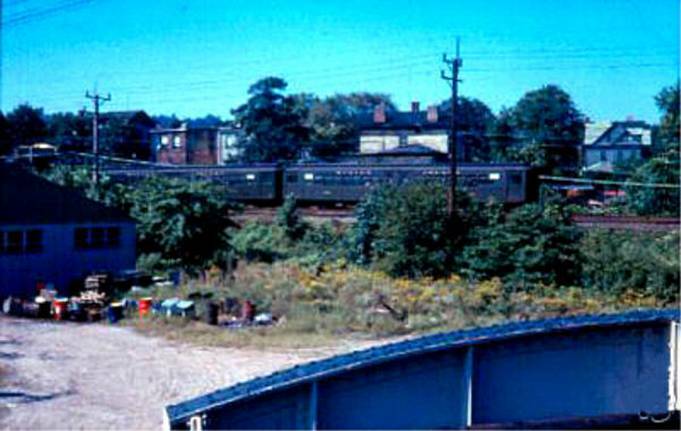 from the abandoned Willow Avenue trestle (October, 1961). 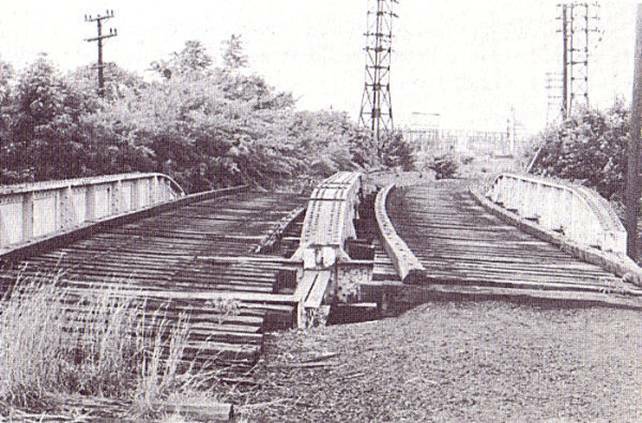 we see the abandoned Willow Avenue trestle in 1964. 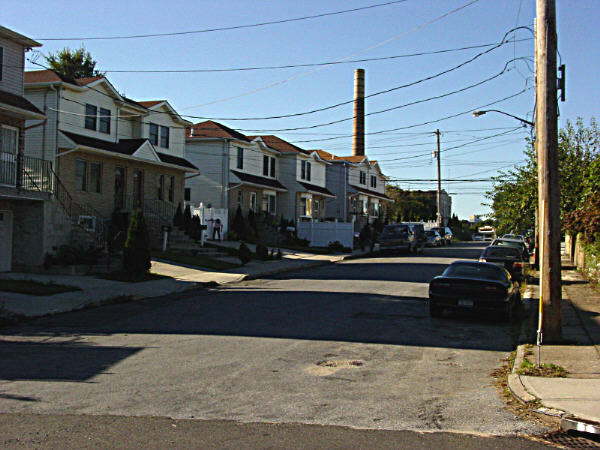 I took these next few photos at Willow Avenue in early 2005. 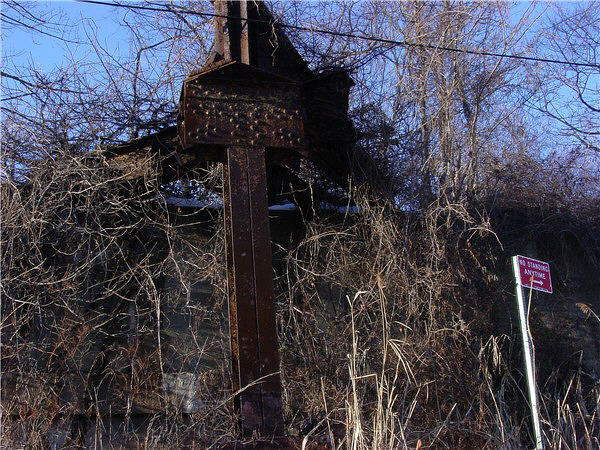 This stanchion and the rest of the spur that connected with the main line were razed in mid-2007. 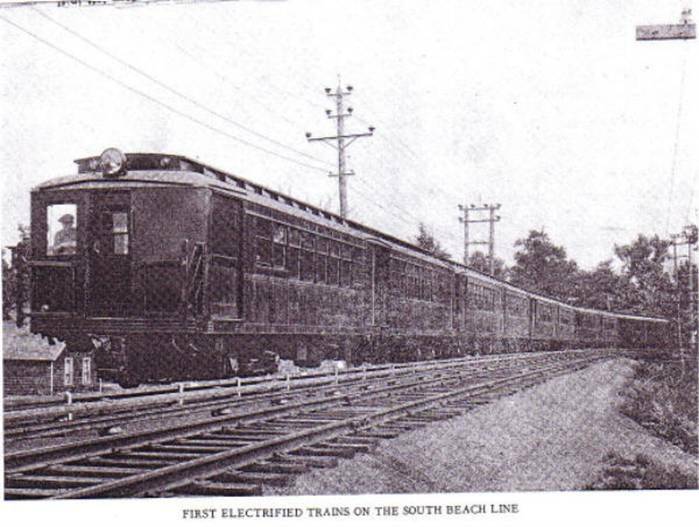 first station on the South Beach line. 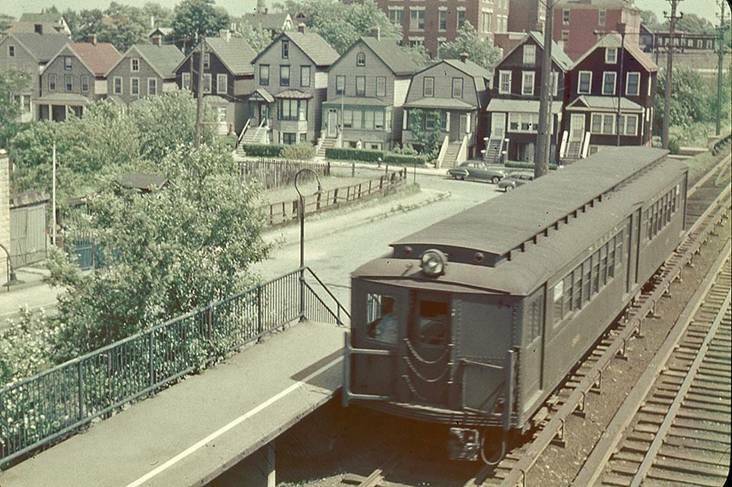 The Bachman station was located between Lynhurst And Chestnut Avenues (2.0 miles). 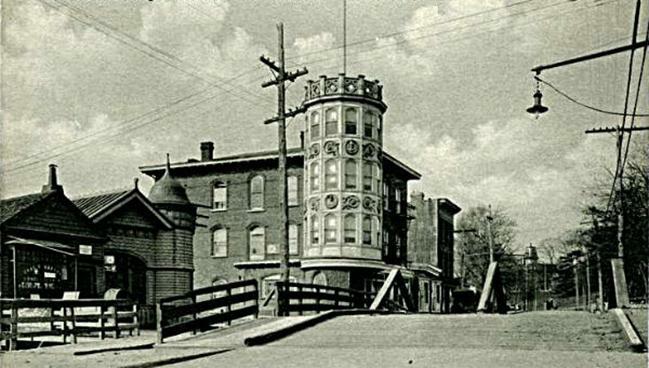 Not much information on this one but we do know that the Bachman's station was built for the convenience of the employees of Bachman's Brewery. 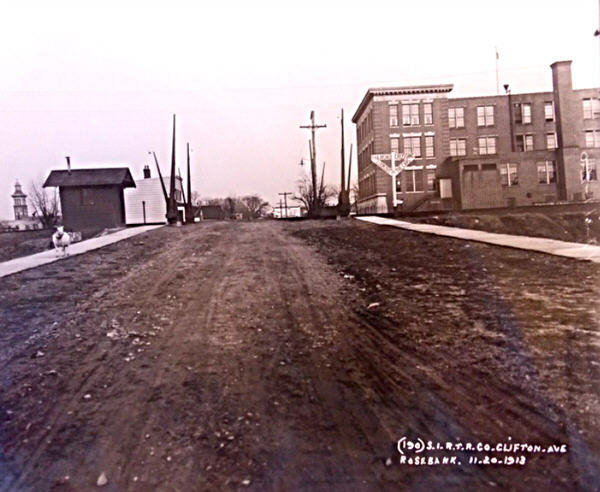 At the time, the South Beach ROW had not been built so it was merely a spur which took employees to the brewery itself. 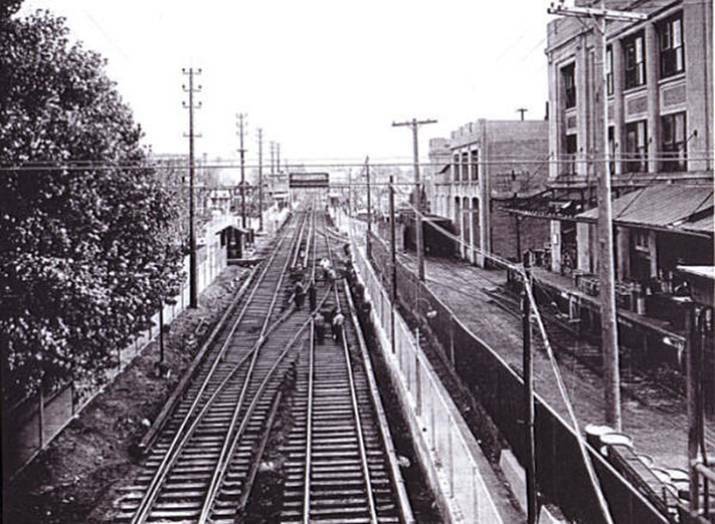 This establishment burned down on October 31, 1881.
the station remained in service. 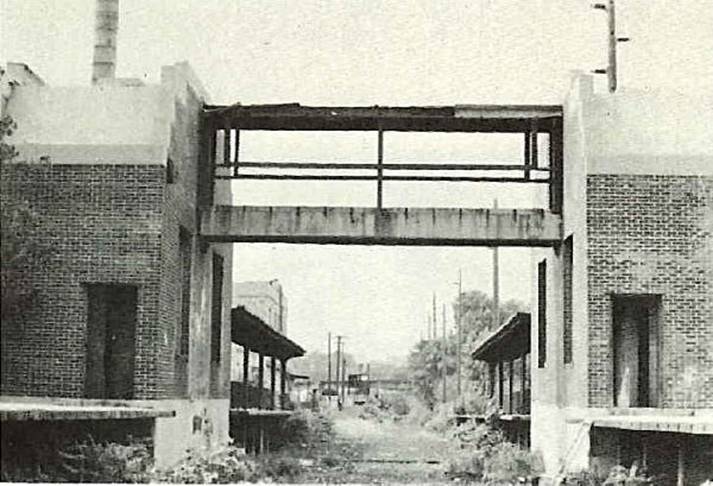 Since the brewery was long gone- and the next stop but a mere tenth of a mile distant- when the SIRT eliminated grade crossings, the Bachman's Brewery station became redundant. 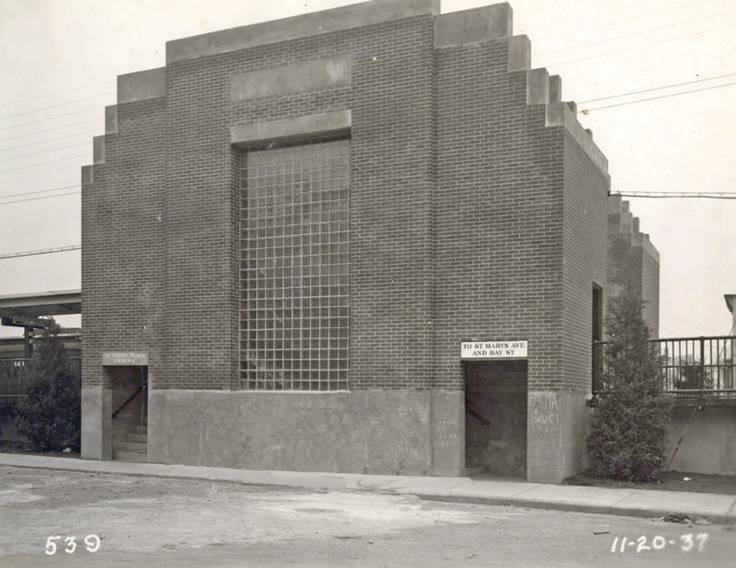 By late 1937, it was abandoned and razed. 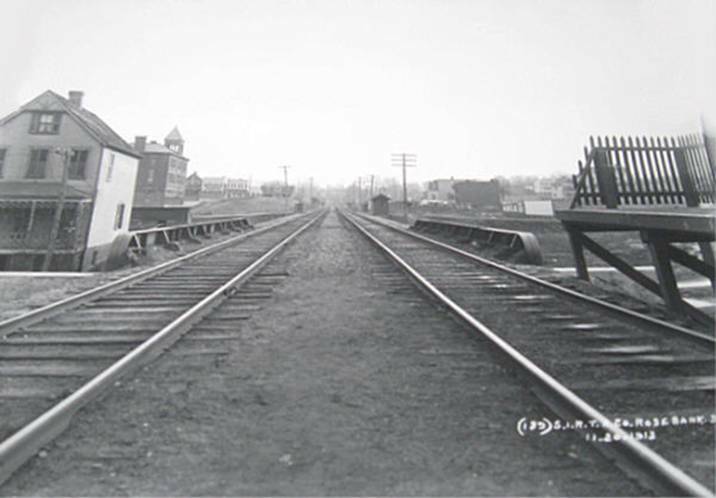 The Bachman station on September 10, 1929. 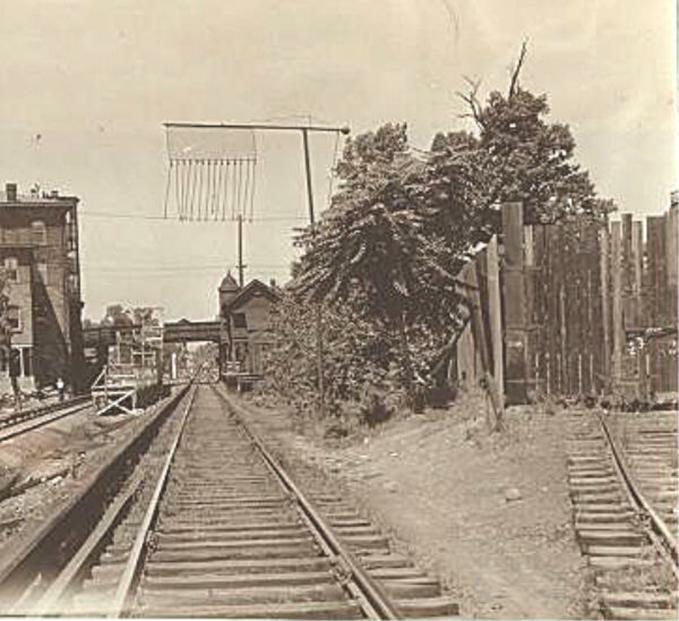 This photo was taken facing Clifton Junction from the South Beach bound side of the Bachman station in September, 1935. 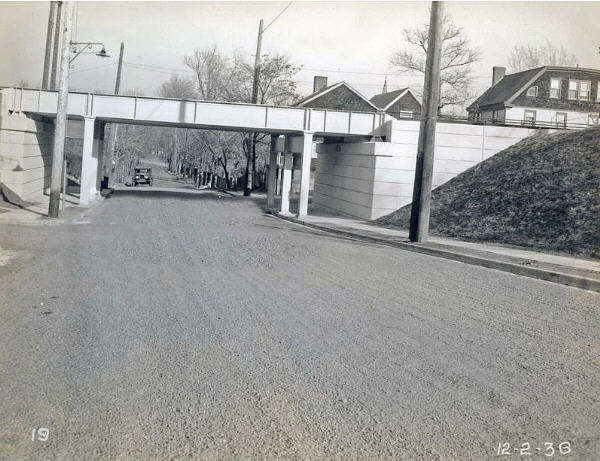 We see the Lynhurst Avenue overhead walk which was still being built. closed at midnight on Tuesday, March 31, 1953. 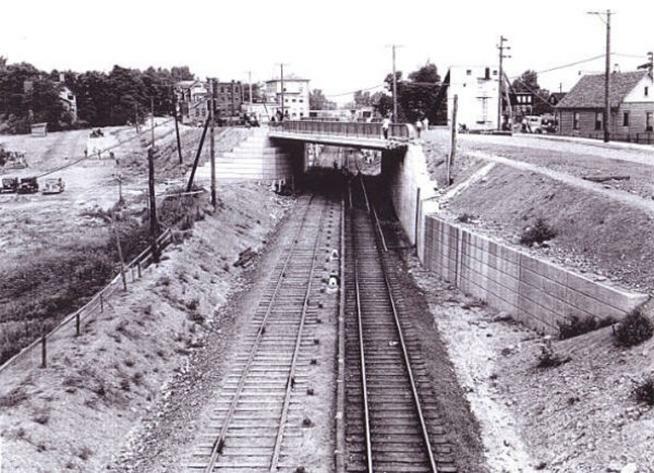 (Also see "Clifton Junction" photos). 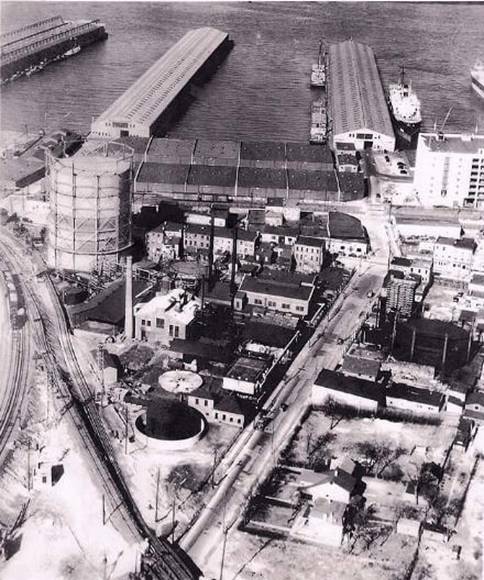 Ansbacher - Siegle Plant in January, 1937. 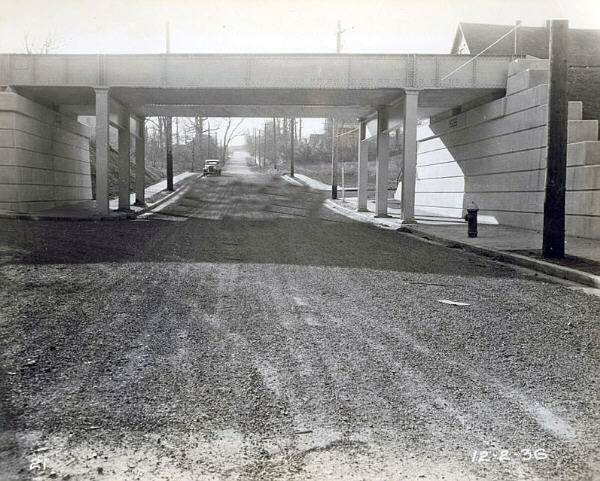 The Chestnut avenue overpass is under construction. 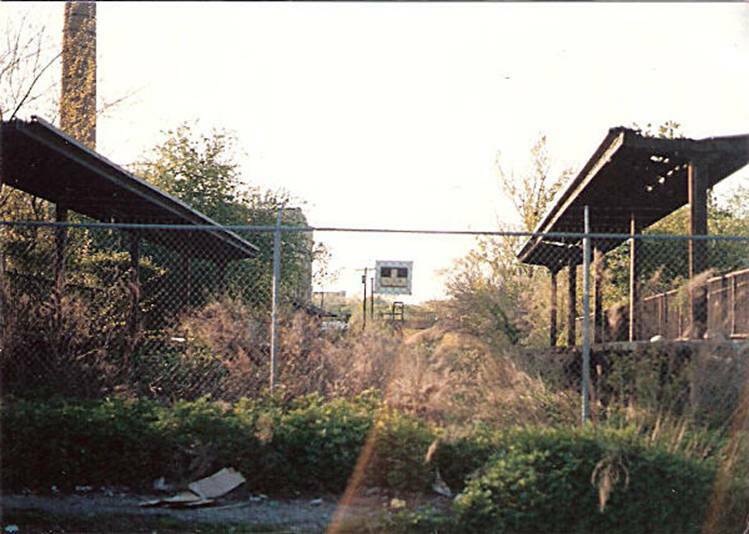 the Bachman station is still in use. 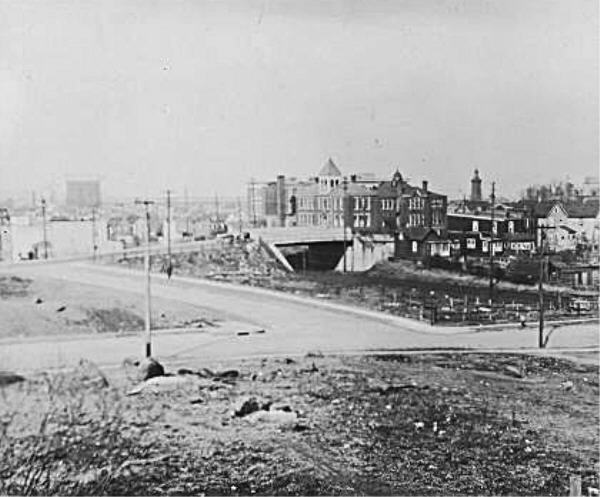 Photo taken mid-1937. 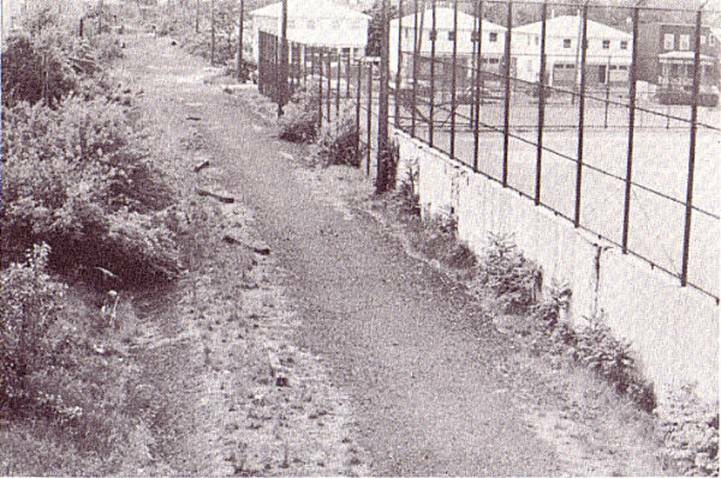 SIRT workers constructing a barricade wall at Chestnut Avenue. 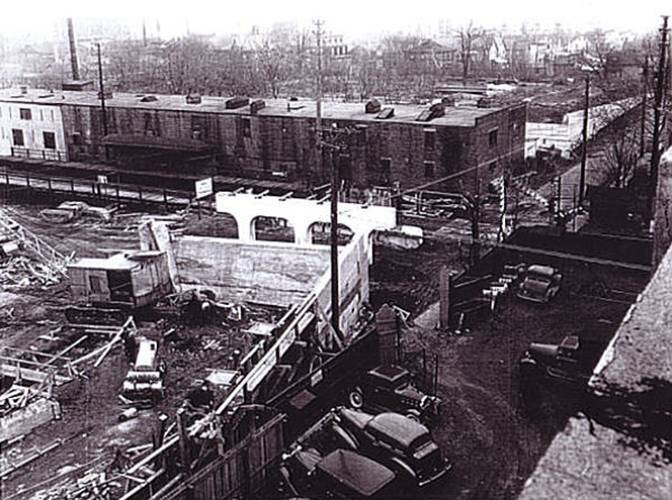 The soon - to - be - razed Bachman station looms large in the background. 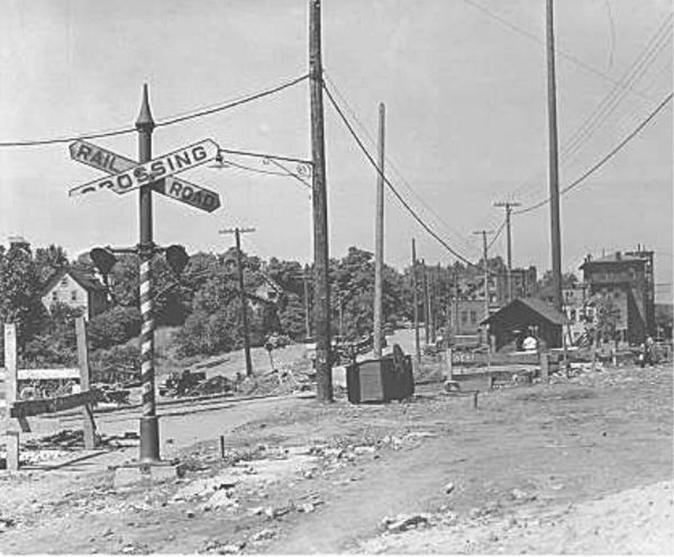 Photo taken in June, 1937. 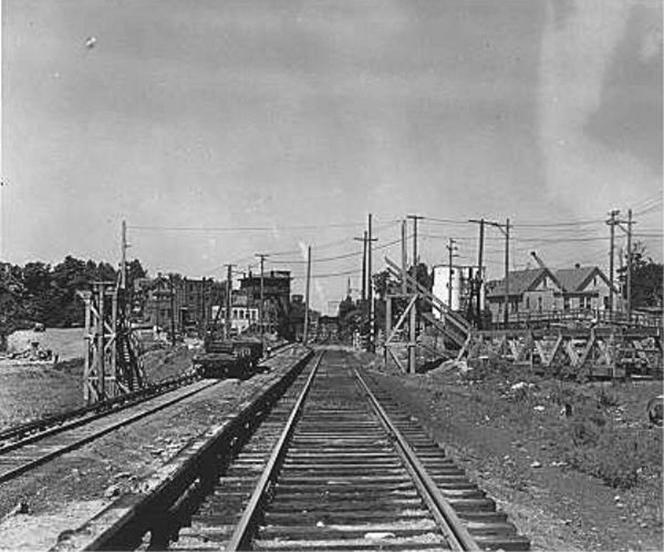 Facing towards St. George in September, 1937.
barely visible just below and beyond the Chestnut Avenue overpass. 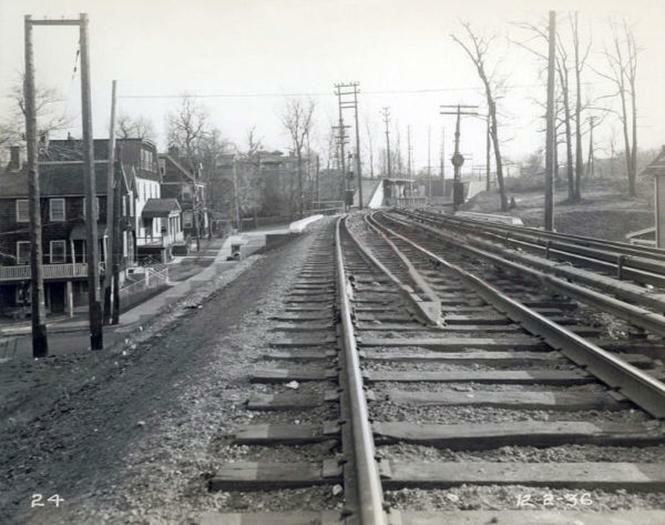 between Virginia and St. Mary's Avenues (2.1 miles)..
Rosebank station at the extreme right (10/15/36). A view to the south from the Chestnut Avenue bridge. The Rosebank station is just ahead. 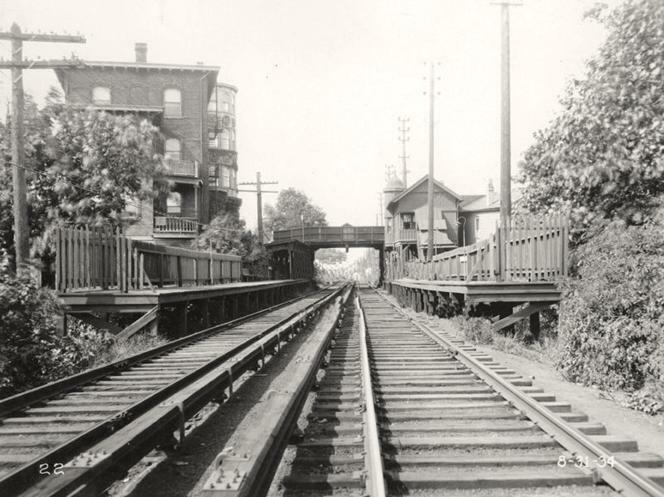 Here is a 1913 view from the original wooden Rosebank station facing toward South Beach. 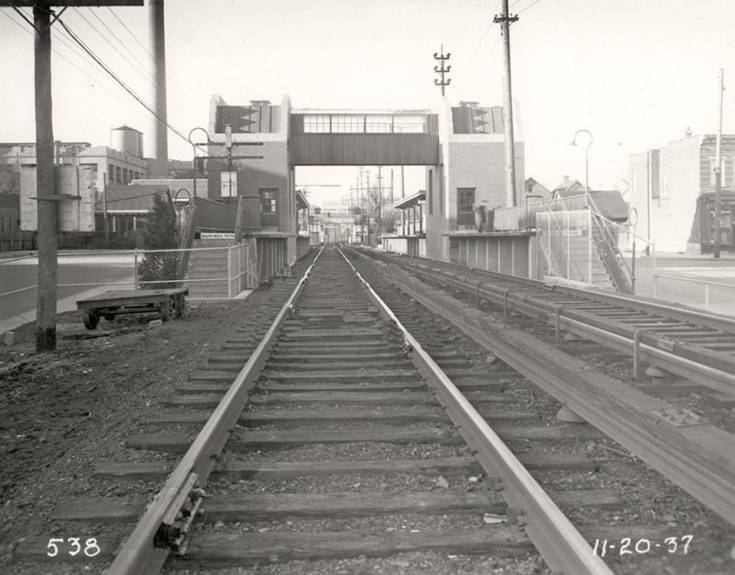 We can see the Virginia Avenue trestle. 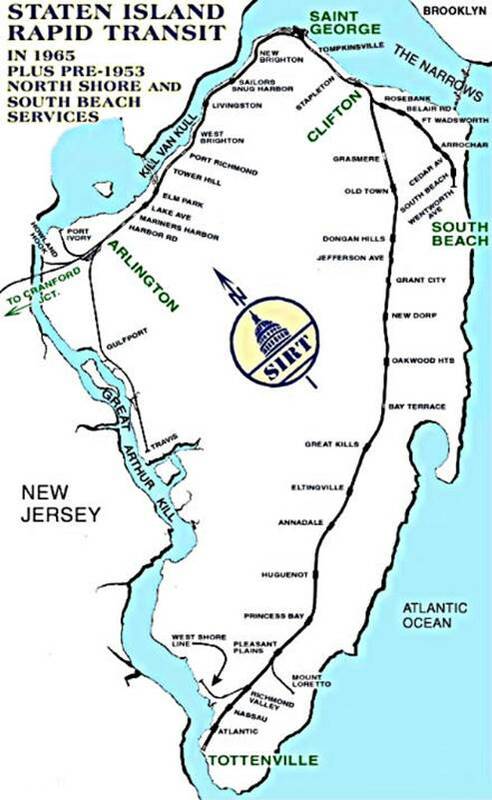 the S.I.R.T. replaced this structure with a new one. 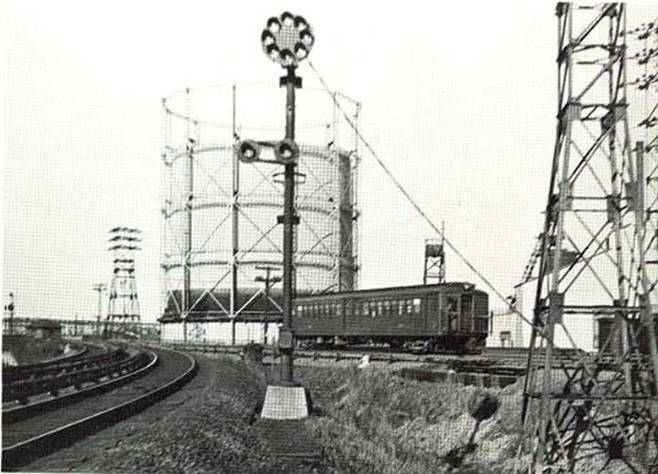 It stood in place after the line closed and was razed around 1999. 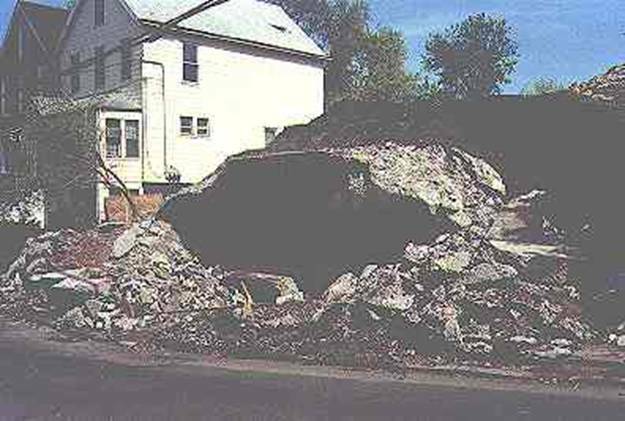 The house on the left still stands today. just past the bridge with the Ansbacher- Siegle plant beyond it. 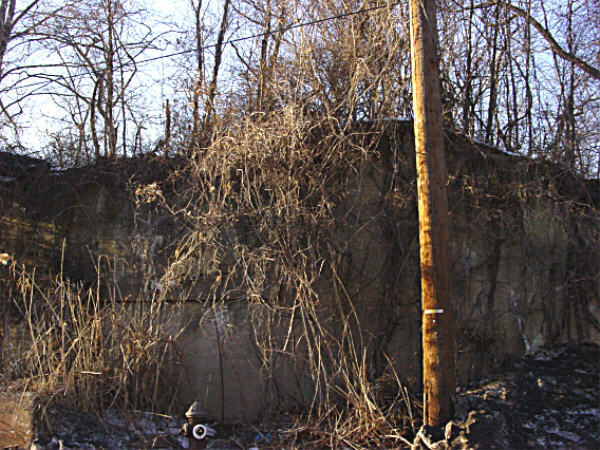 The plant and much of the surrounding area was razed in 2010. 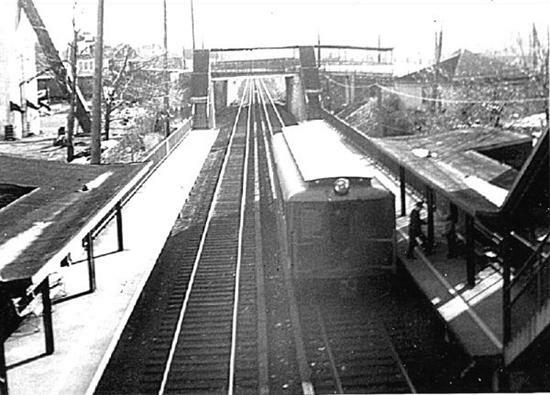 "new and improved" Rosebank station (September, 1937). Eureka! 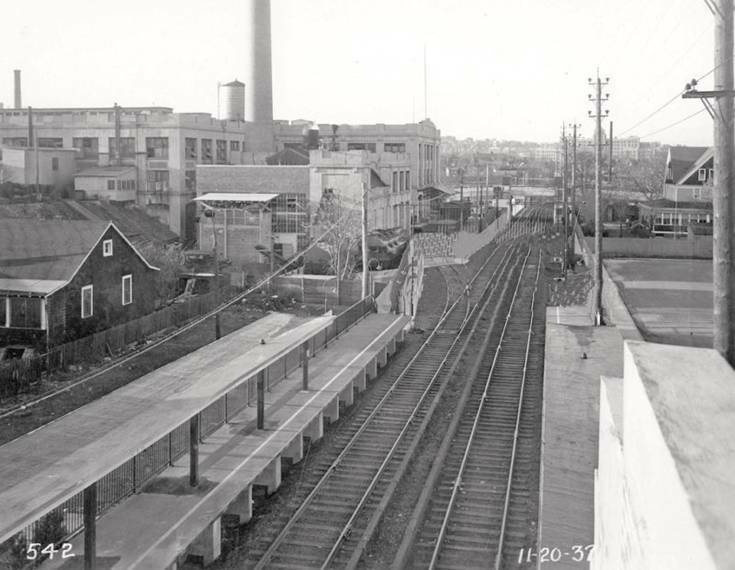 Three photos of the "new and improved"
Rosebank station on November 20, 1937! 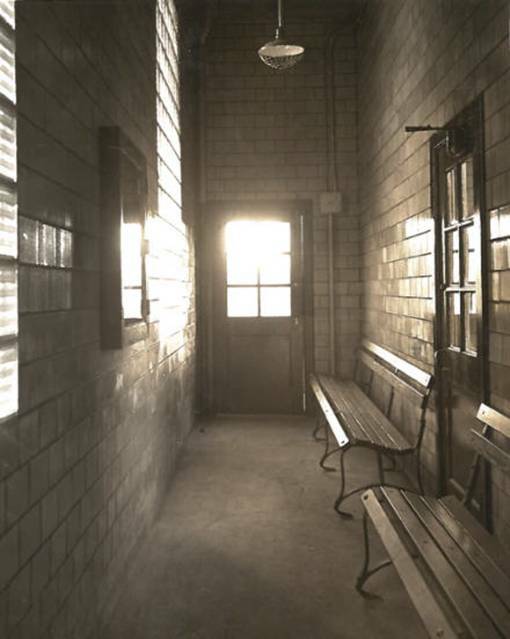 Inside the Rosebank station (November, 1937). 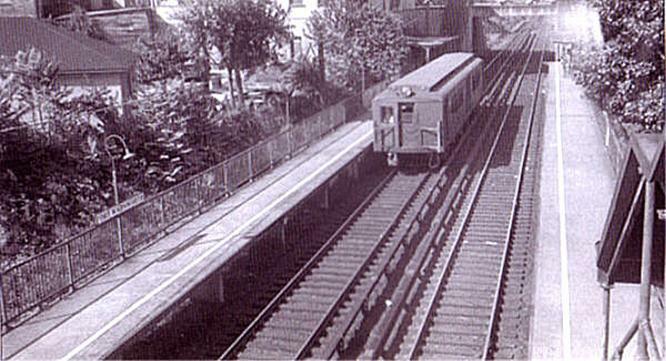 A South Beach bound train leaves the Rosebank station. 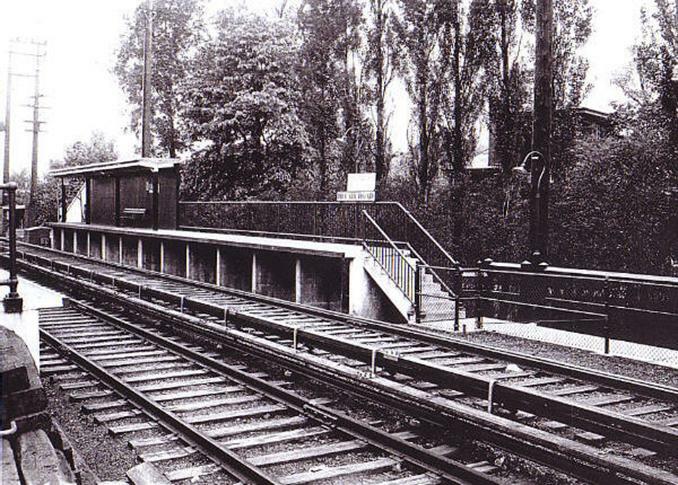 Rosebank station in the early 1950's. 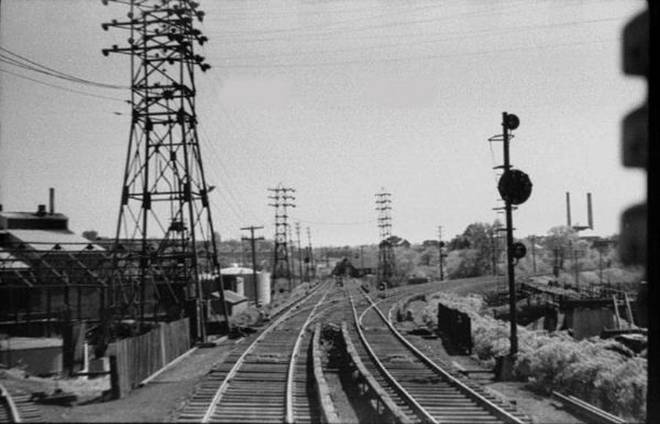 The same scene around 1964. 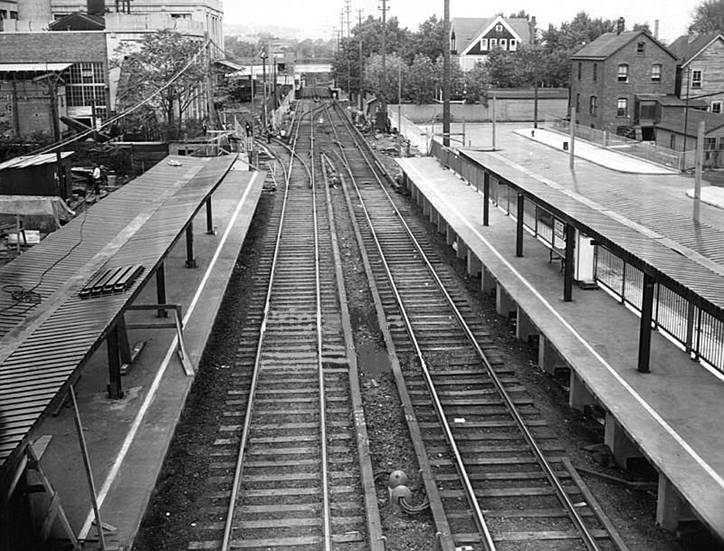 The dead Rosebank station in the early 1960's. Fellow Staten Islander/musician and S.I.R.T. 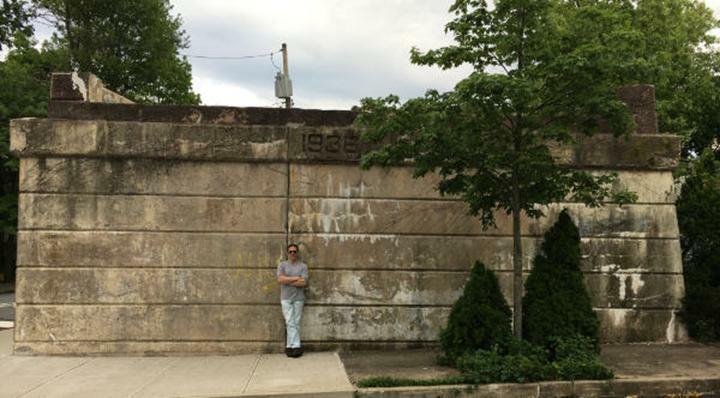 fan Rob Ross contemplates the ruins of the Rosebank station in 1987. 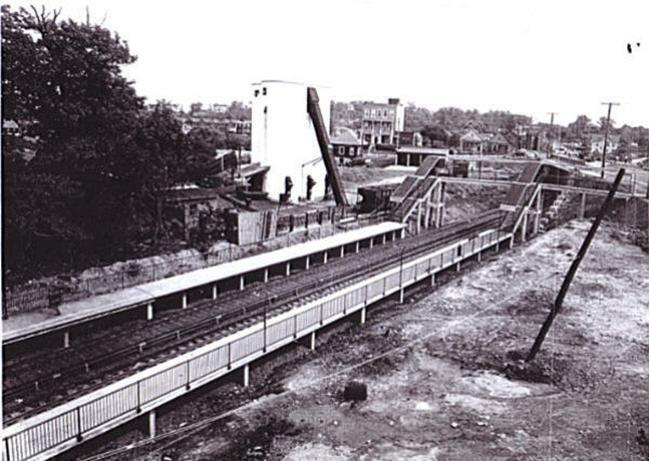 Rosebank station facing Clifton Junction in 1987.
and the chimney of the Ansbacher- Siegle plant. 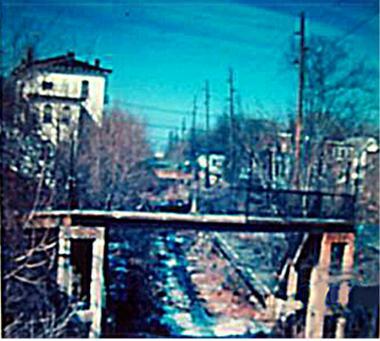 The demolition of the Virginia Avenue trestle around 1999. The house in the earlier photo stands to the left. 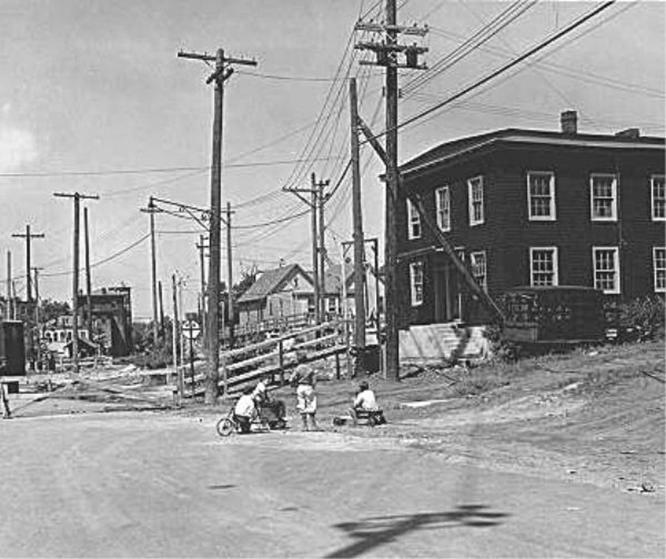 At Virginia Avenue looking up Tilson Place in 1936. 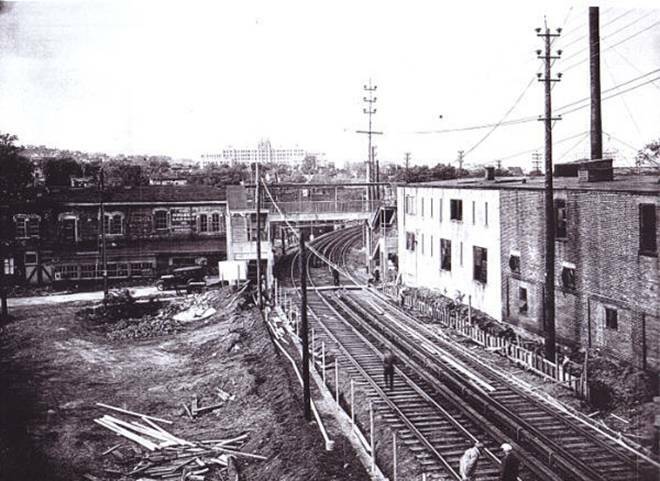 The Rosebank station is out of view beyond the ROW on left. 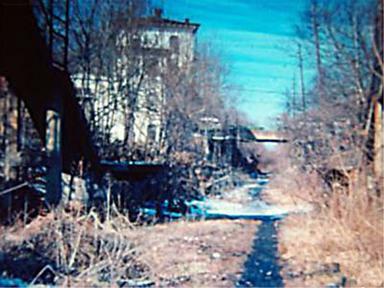 The view in September, 2004.
in Rosebank on November 20, 1913.
a pedestrian underpass "subway" which ran beneath the tracks. 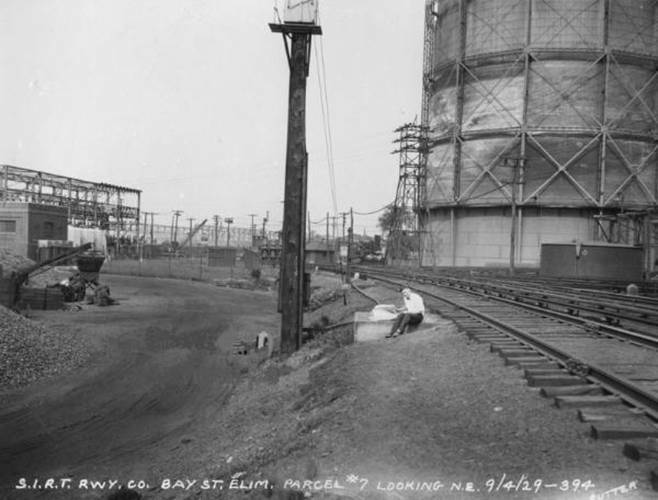 Here it is while under construction on June 17, 1937. The finished Clifton Avenue "pedestrian subway". 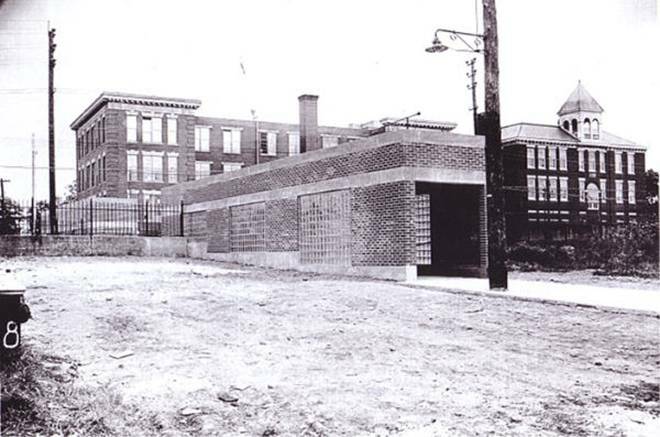 The two structures behind it are the original Public School 13.
which now stands directly on the South Beach ROW. 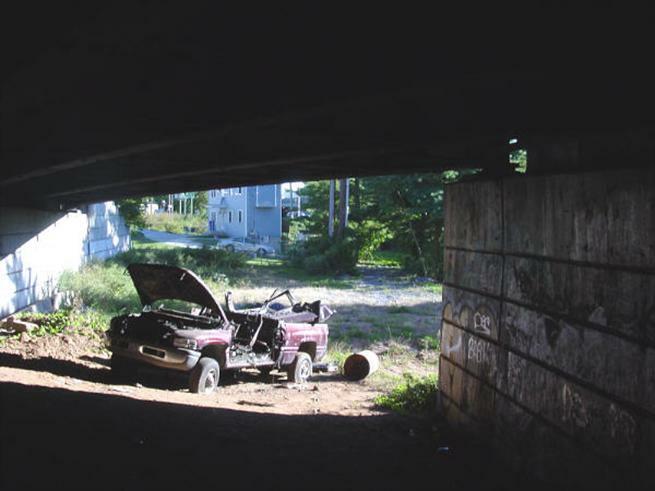 the Clifton Avenue underpass. Circa 1937. This is Pennsylvania Avenue in Rosebank. Photo taken 11/30/13. The S.I.R.T. 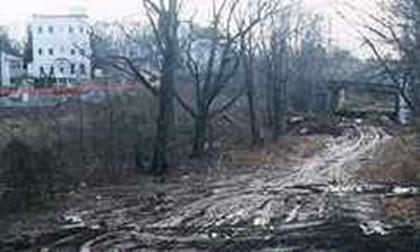 right of way can be seen cutting through the road. 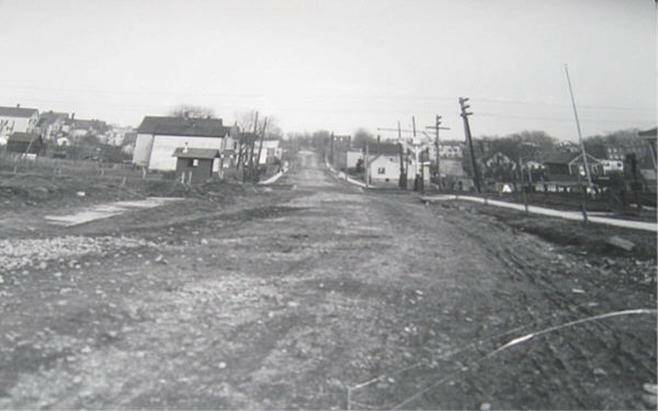 As the years passed, Pennsylvania avenue became one of the busiest thoroughfares on Staten Island and was later renamed Hylan Boulevard. The original P.S. 13 stands to the left. the Rosebank station and Virginia Avenue (12/13/16). 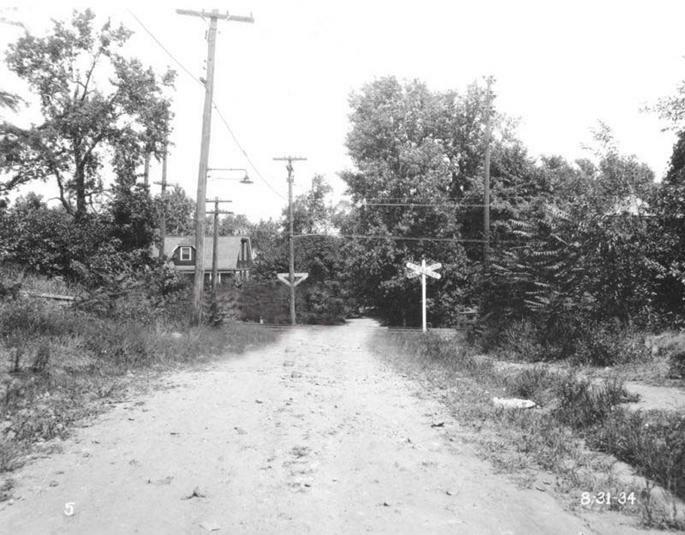 the railroad bed facing St. George in June, 1916.
from some of the previous photos. 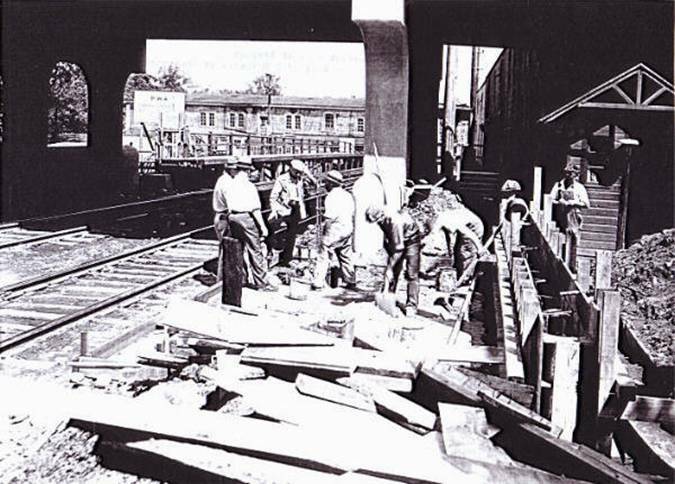 Pennsylvania Avenue bridge being erected. 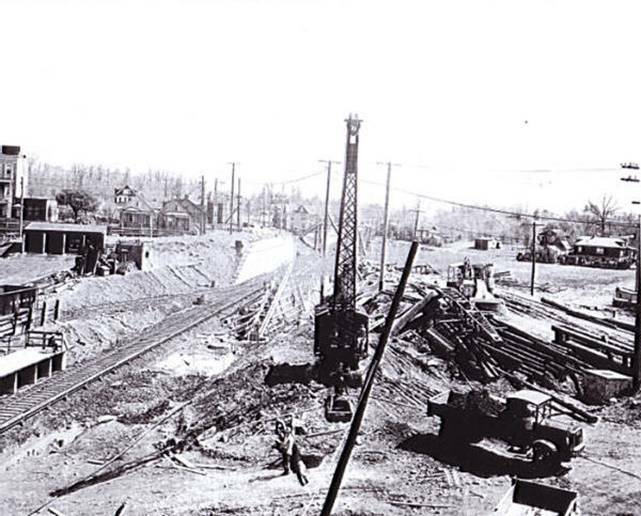 trestle under construction in June,1916. 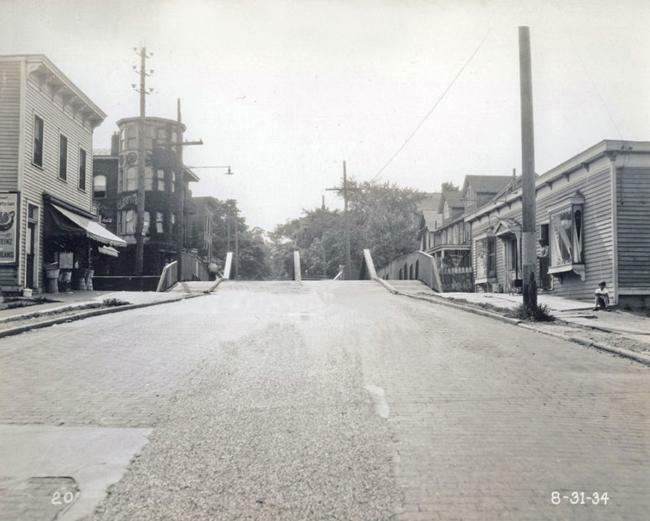 Pennsylvania Avenue bridge in 1918.
where the South Beach line cut through the street. 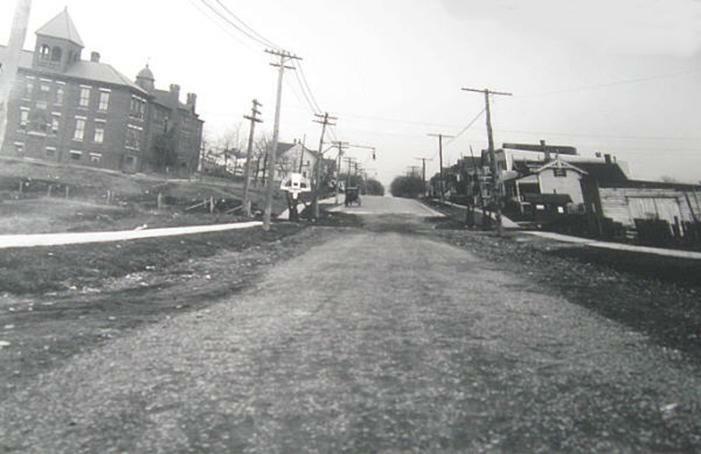 and Maryland avenue in 1931. 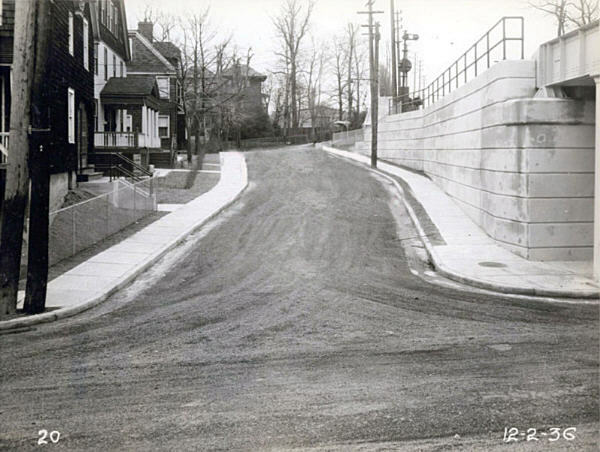 St. John's Avenue on December 2, 1936.
piece of what once was- the lonely St. John's Avenue trestle stanchion. in which the S.I.R.T. spent elevating and depressing the entire system. stanchion still proudly stands. In fact, the house which borders it has morphed the relic into a part of the backyard. Looks like it could possibly live long and prosper! As the sojourn continues, we find ourselves arriving at. 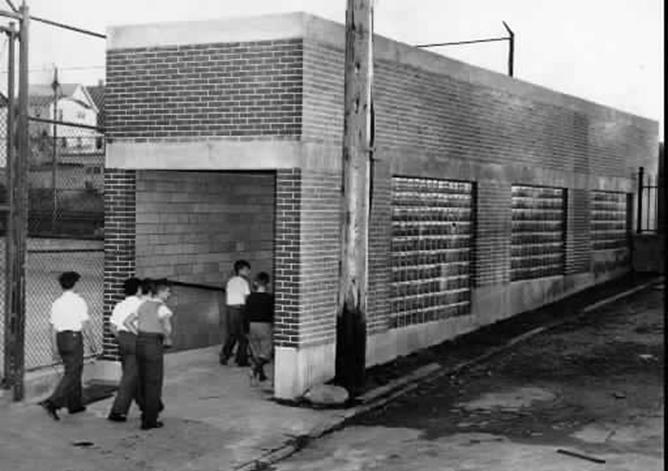 US Quarantine Service, which was about one block east. was a serene place to be on August 31, 1934. 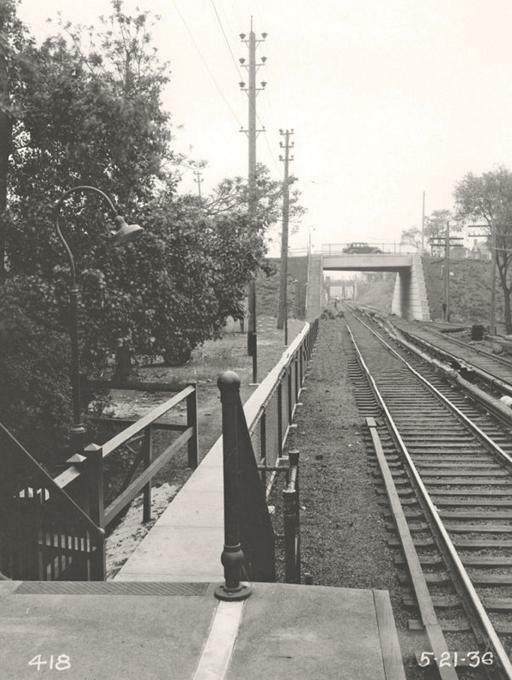 Belair Road station in May, 1935. 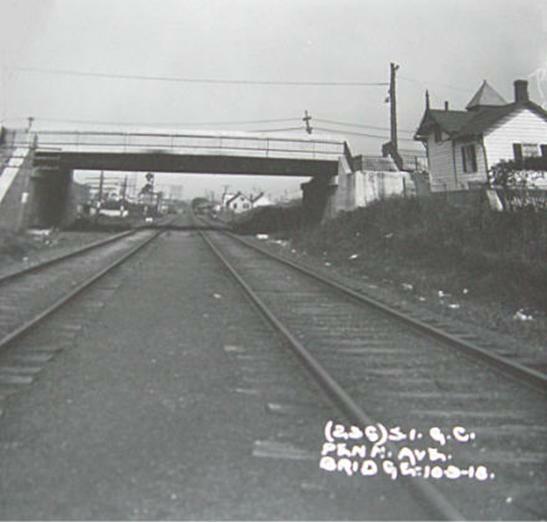 Approaching both the St. John's Avenue trestle and the "new and improved" Belair Road Station on December 2, 1936. 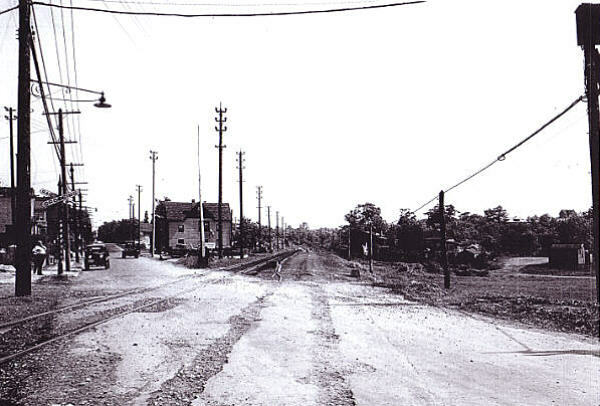 "new and improved" Belair Road station in 1936! 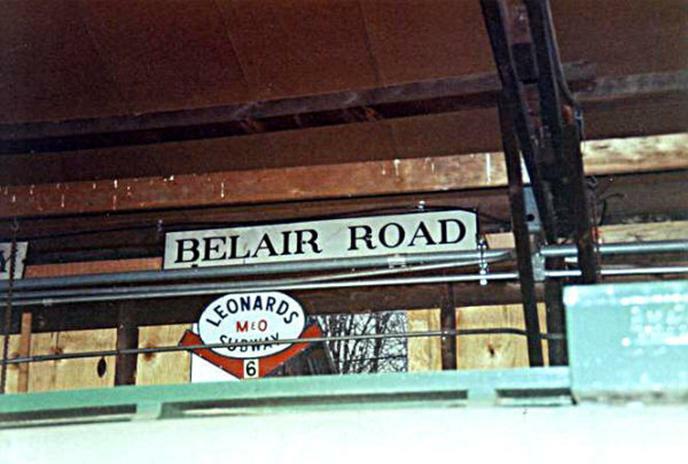 The Belair Road station. 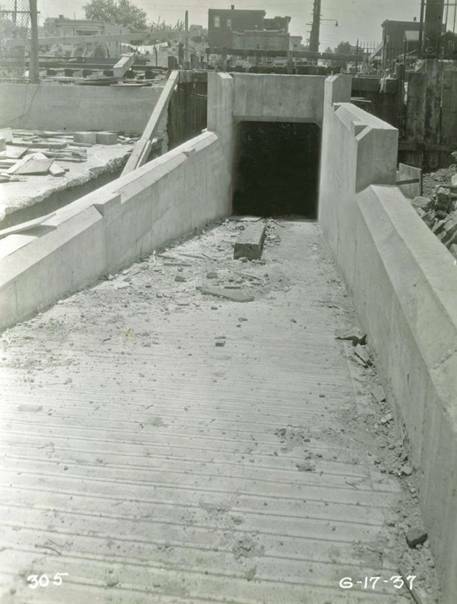 Notice the entrances to the underground access walkway on both sides of the station. In the distance we see the Hope Avenue and Fingerboard Road overpasses. 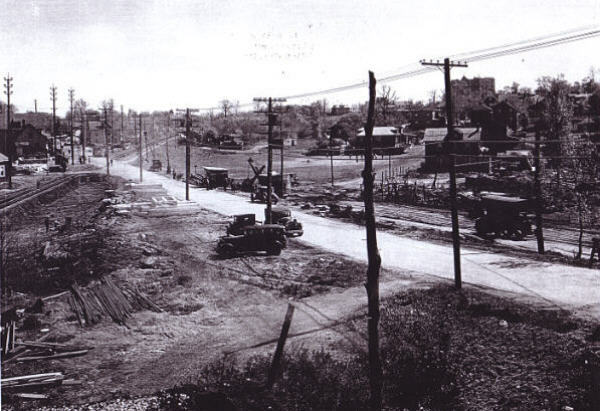 of the Belair Road station facing South Beach on May 21, 1936. 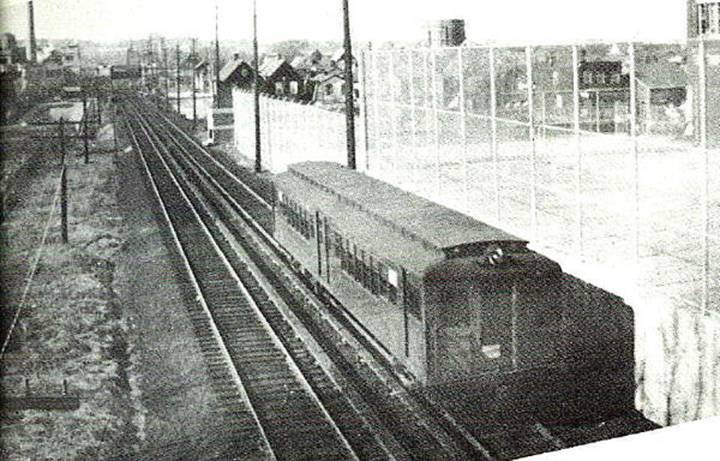 A South Beach bound train leaving the Belair Road station. which can barely be seen beyond the Hope Avenue overpass. Color photo taken from Fingerboard Road overpass. 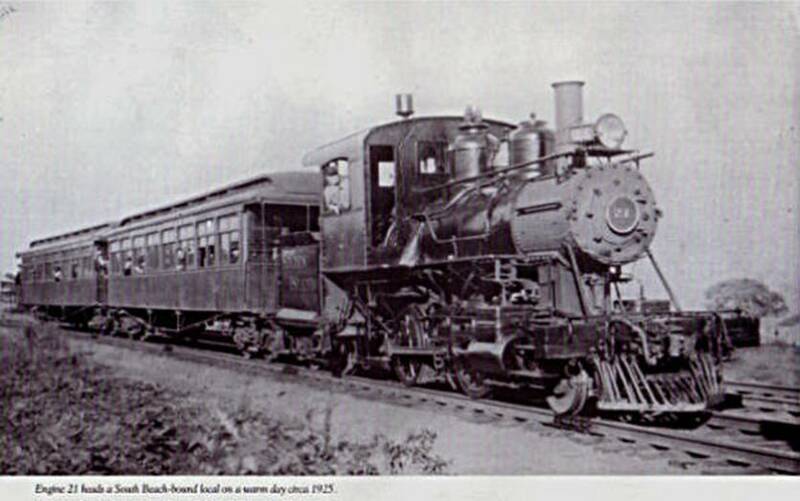 now resides in a railroad museum in Connecticut. 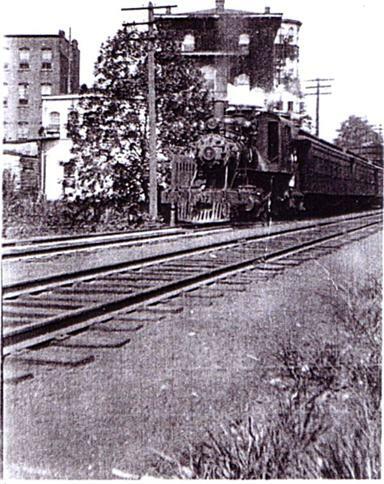 A steam engine stops at the Fort Wadsworth station in 1923. Photo taken two years before the S.I.R.T. 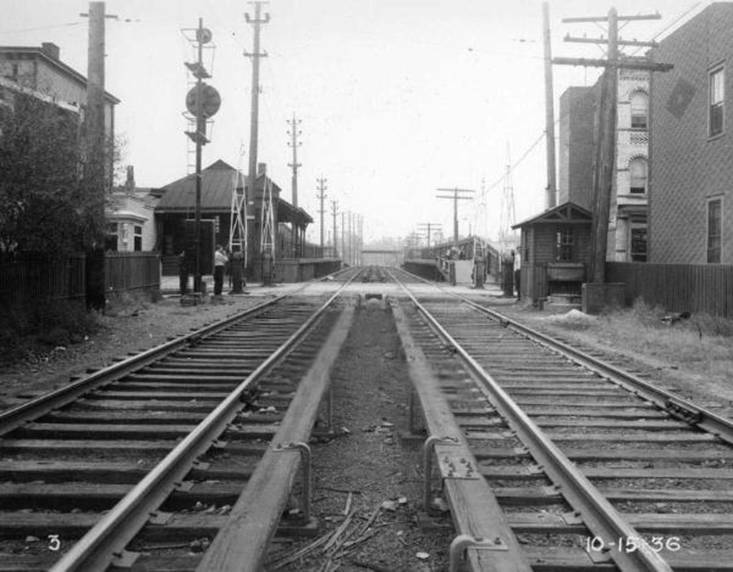 electrified all three lines and more than a decade before grade crossing elimination began. 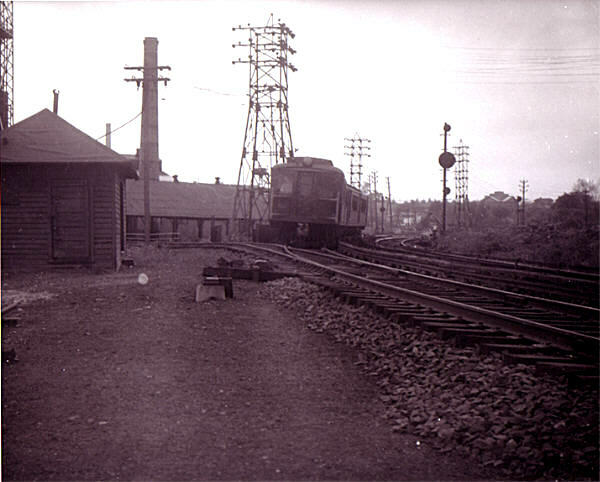 station on August 31, 1934. 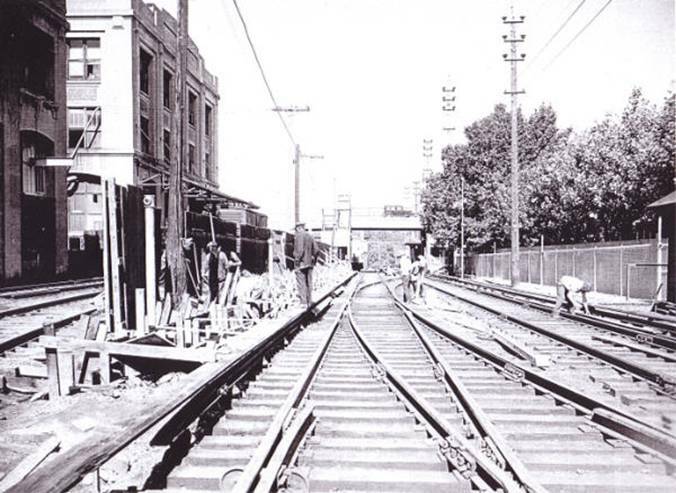 At Tompkins avenue, grade crossing elimination begins (1935). 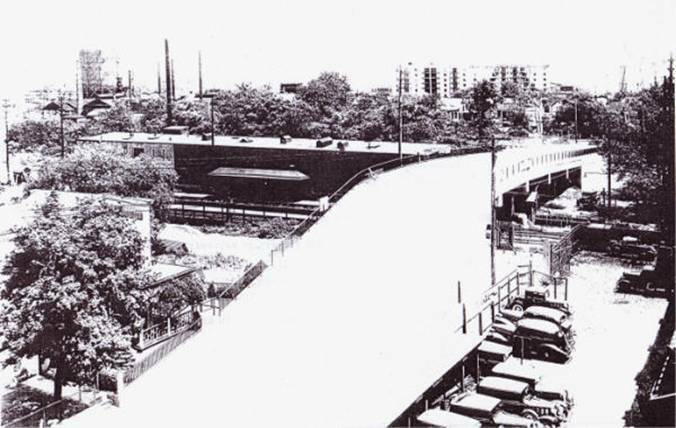 A view of the original Fingerboard Road overpass. 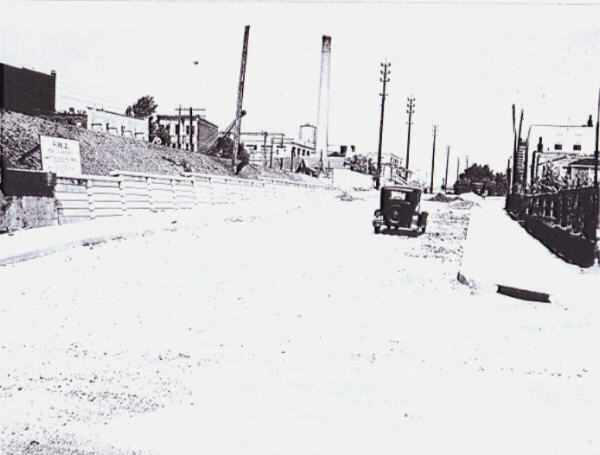 The original Fingerboard Road overpass on August 31, 1934. 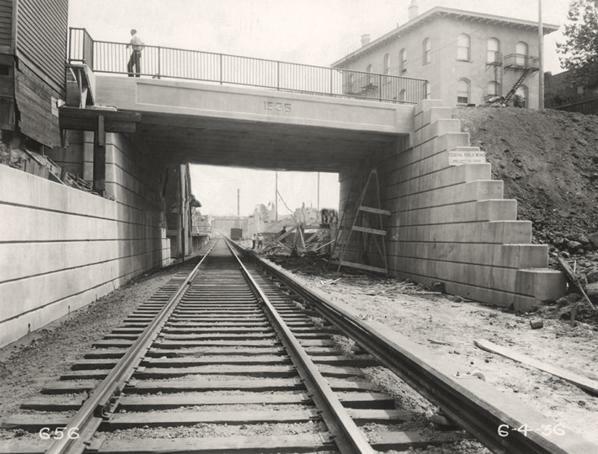 The construction of the "new and improved"
and Fort Wadsworth station in 1936. This was during grade crossing elimination. 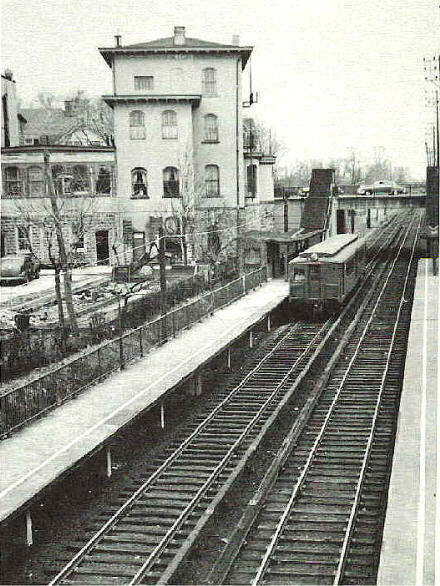 Fort Wadsworth station lurking in the background. 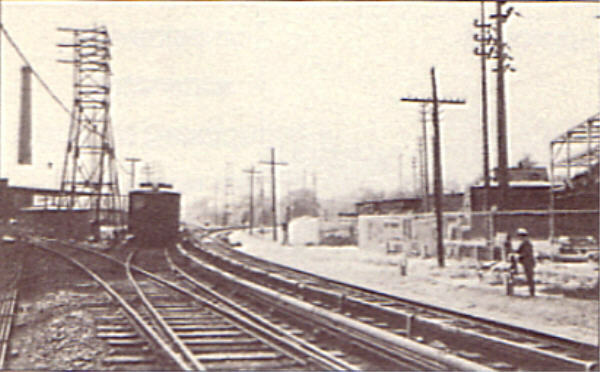 Notice the South Beach bound tracks have not yet been placed. 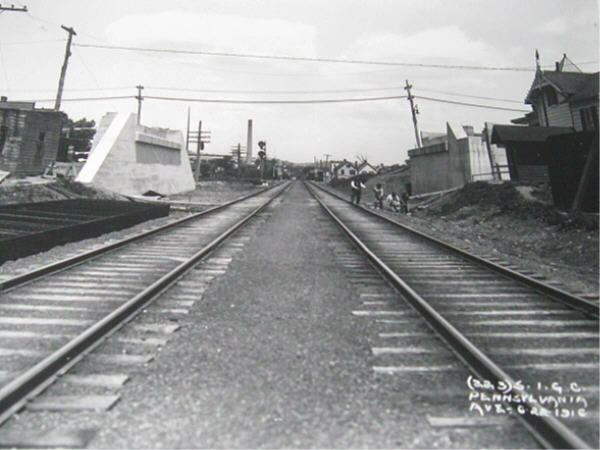 Photo taken June 4, 1936.
for the South Beach bound platform of the Fort Wadsworth station. 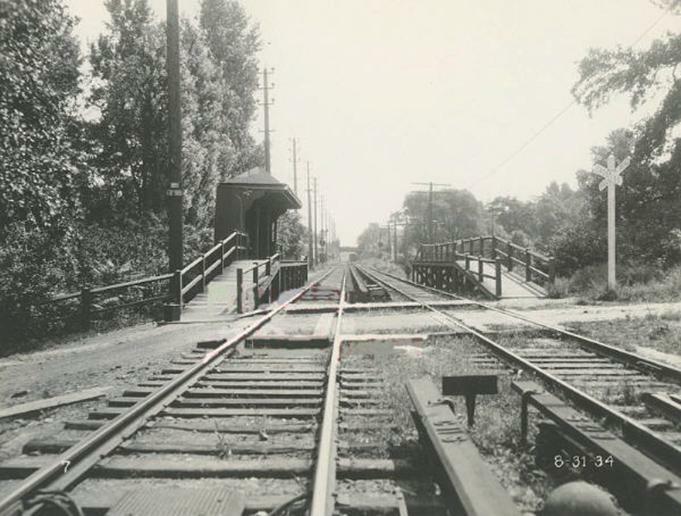 Photo taken from the Fingerboard Road Bridge in 1936.
after grade crossing elimination began in May, 1935. The large building on top of the hill is St. John's Villa Academy. The S.I.R.T. South Beach right of way is at the left. 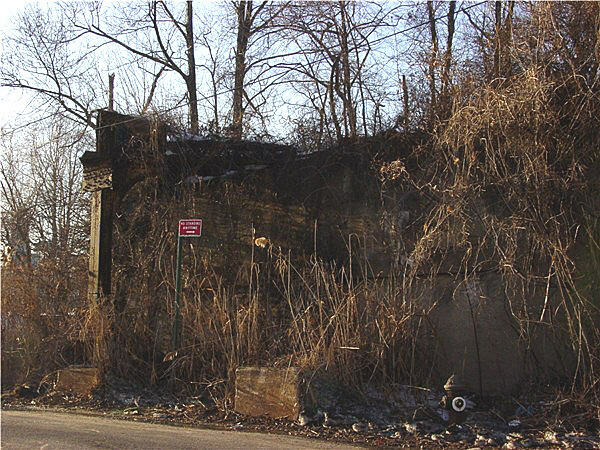 and the Fort Wadsworth station. from the Verrazano Bridge toll plaza. from a temporary walkway over the tracks. 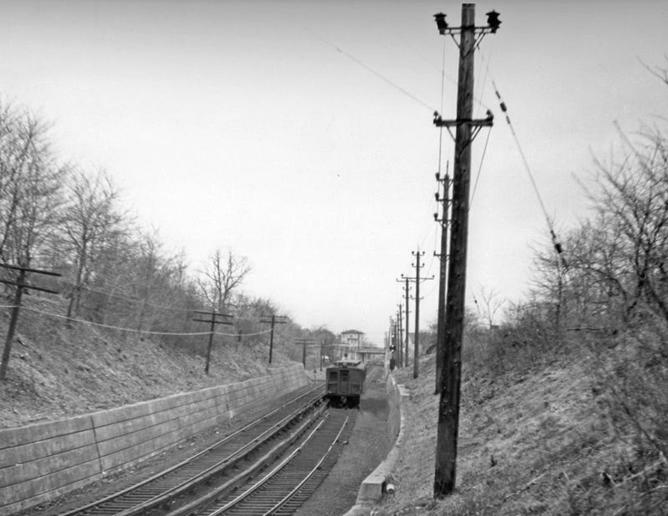 Fort Wadsworth station in 1948.
stopped at the Fort Wadsworth station in 1950. Photo taken from the Fingerboard Road overpass. 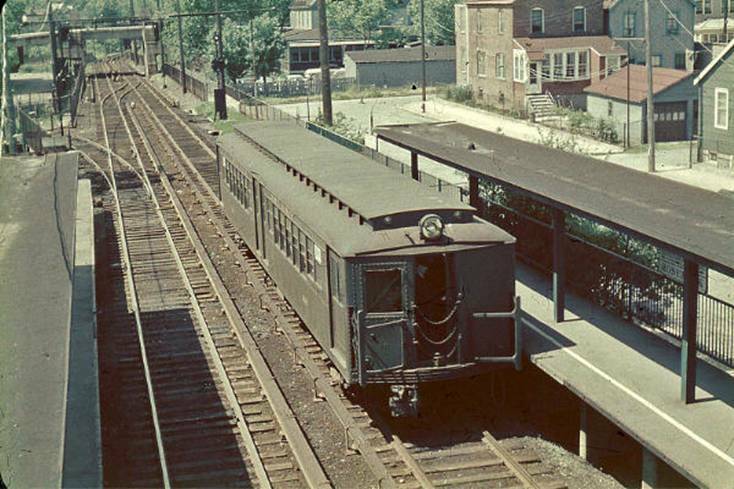 Fort Wadsworth station in 1952. The stairs lead up to the Fingerboard Road Bridge. I've gigged in that tall building. 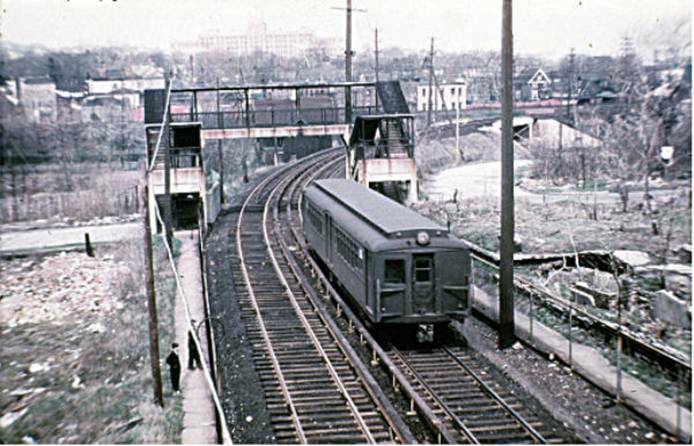 Fort Wadsworth station in early 1977.
taken from Fingerboard road around 1999. 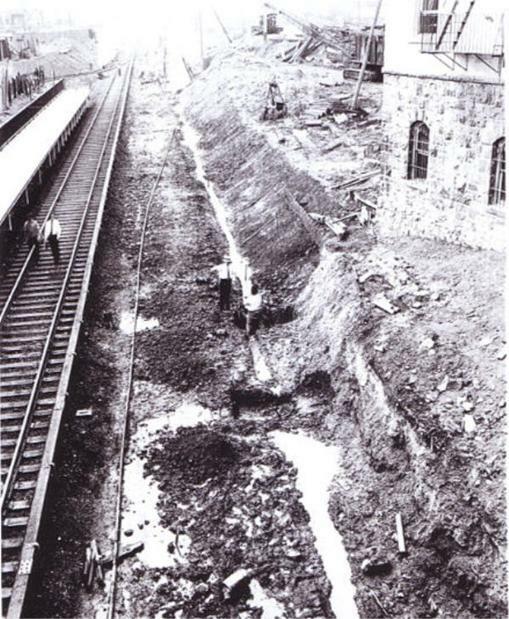 This was where the Fort Wadsworth station once stood. for the housing that stands there today. Notice the cut through the trees in the background. 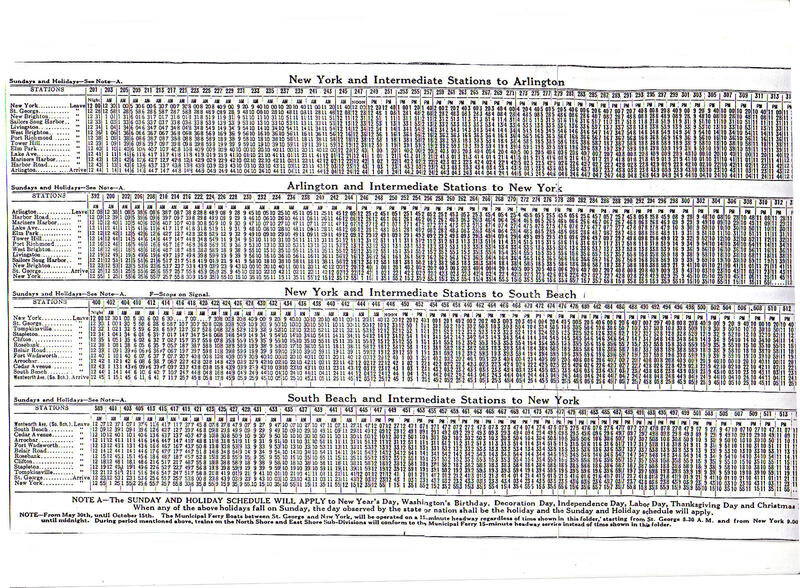 This indicates the original ROW. beneath the Tompkins Avenue overpass. shaped house that marks the path as well. the Lily Avenue overpass which lines up perfectly with the ROW . 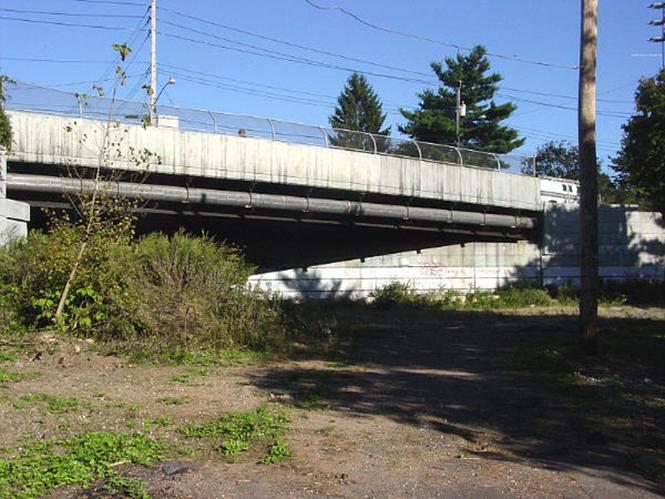 I've been told this "wide" overpass was built "just in case" the S.I.R.T. were to reactivate the South Beach branch. So much for that. 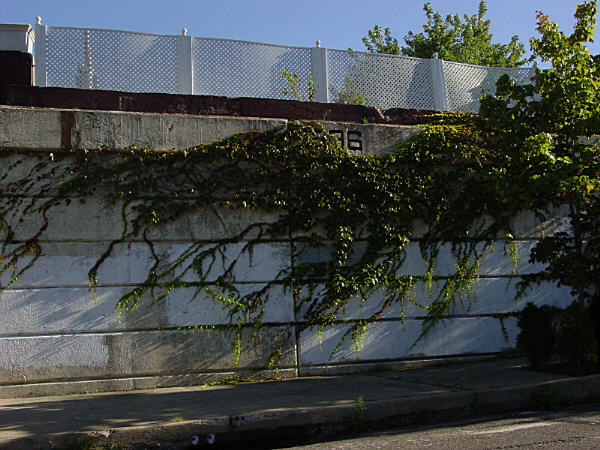 The Tompkins Avenue Bridge today. This is actually a newer and wider bridge built in the 1980's-1990's. 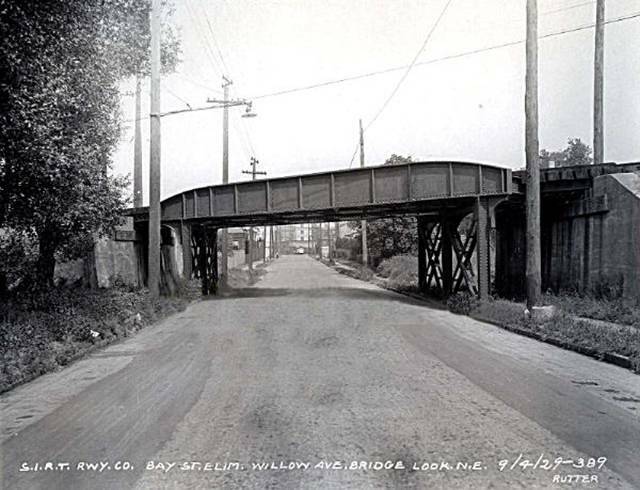 It may have replaced the original crumbling overpass but it still proudly spans a short remnant of the South Beach right of way. It's kind of an eerie place to visit. I have no idea why.....it just is. 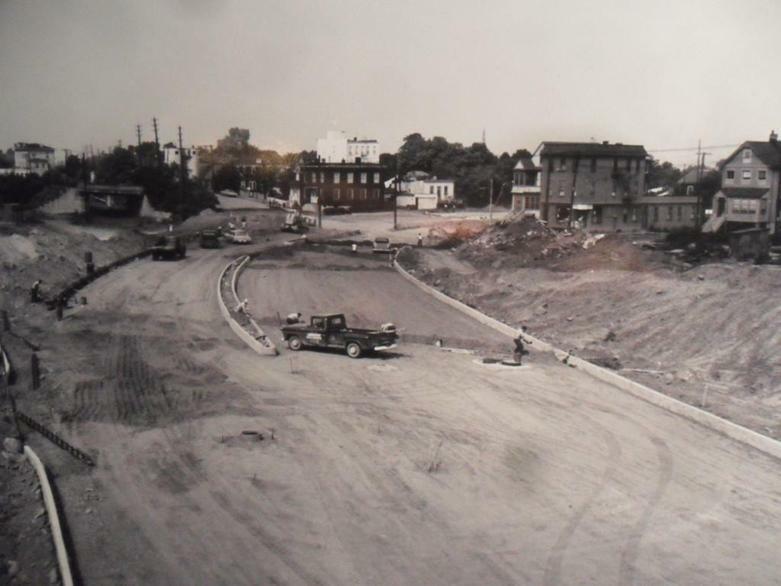 This 1961 photo shows the construction of Lily Pond Avenue. 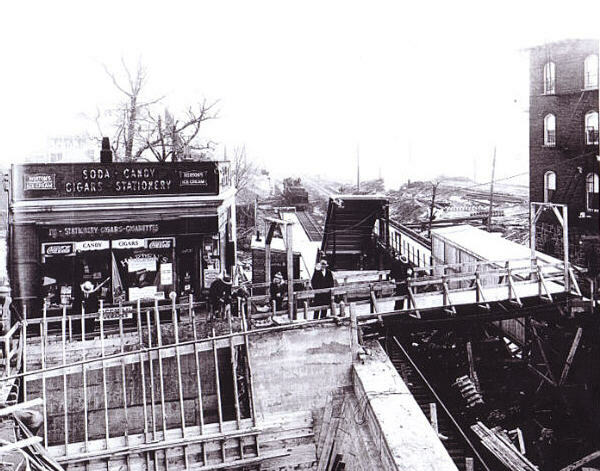 The Fort Wadsworth station and Tompkins avenue trestle (at left) were unharmed but part of the ROW was demolished. 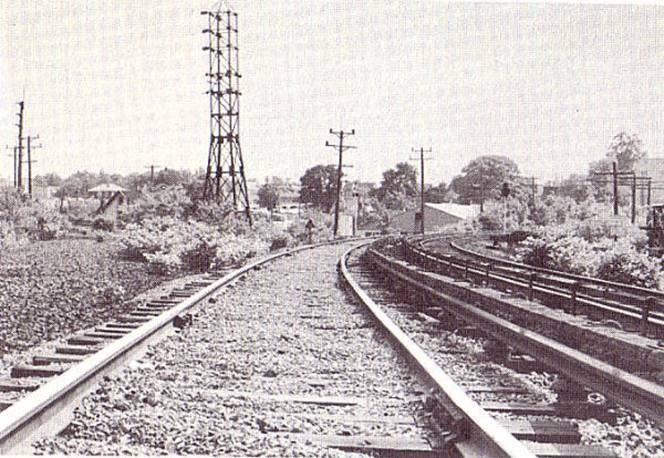 with the Fort Wadsworth station just beyond. Just beyond this point is where the Verrazano Bridge toll plaza stands. This destroyed a large portion of the South Beach ROW but not the setting for the next stop on our journey to South Beach. To continue the journey, click on the link below.